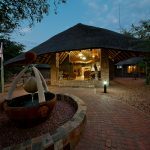 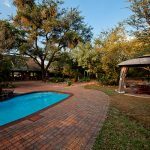 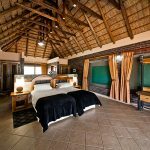 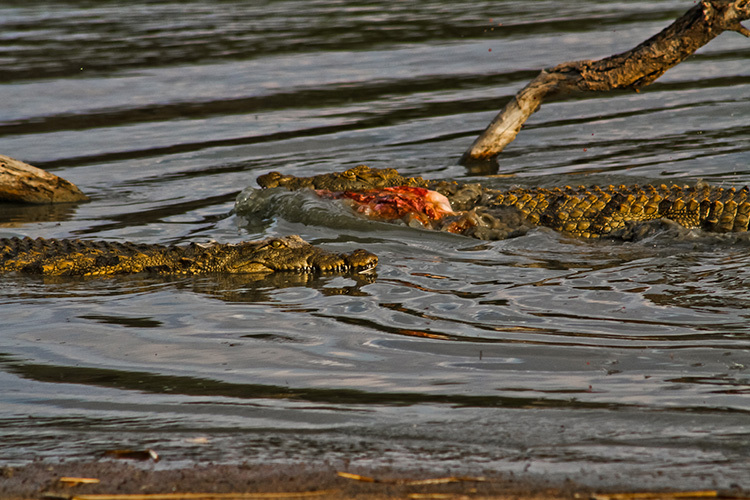 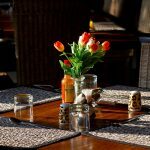 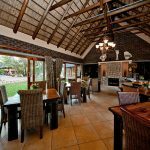 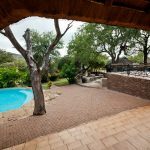 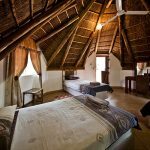 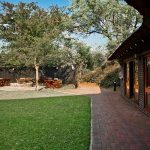 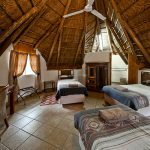 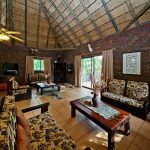 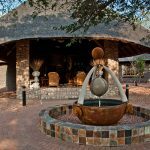 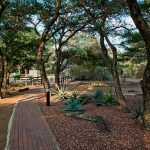 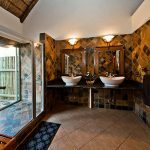 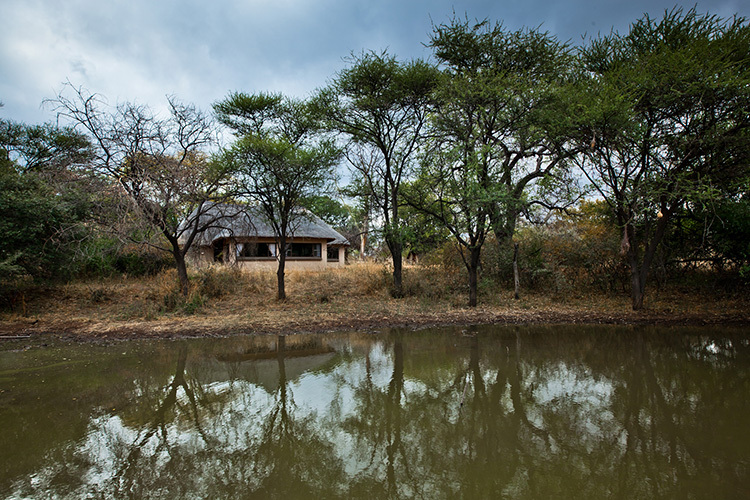 We offer family-friendly accommodation from 5-star luxury, a private mountain lodge or rustic bush camp; guaranteed to satisfy a variety of guests looking for the Ultimate African Hunting Safari Adventure. 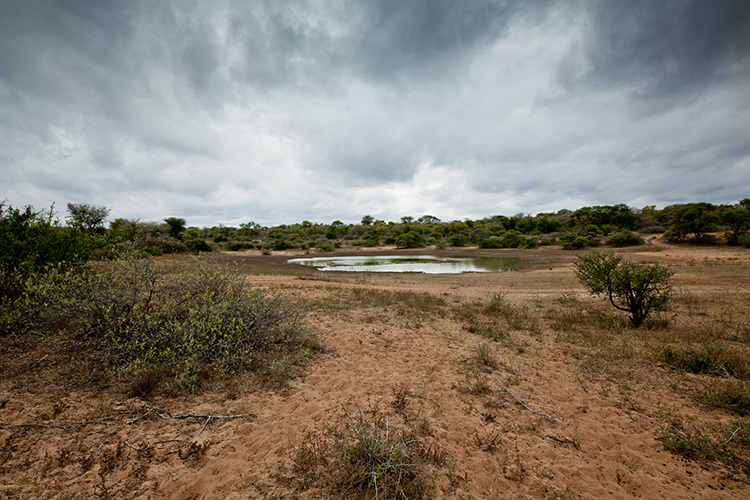 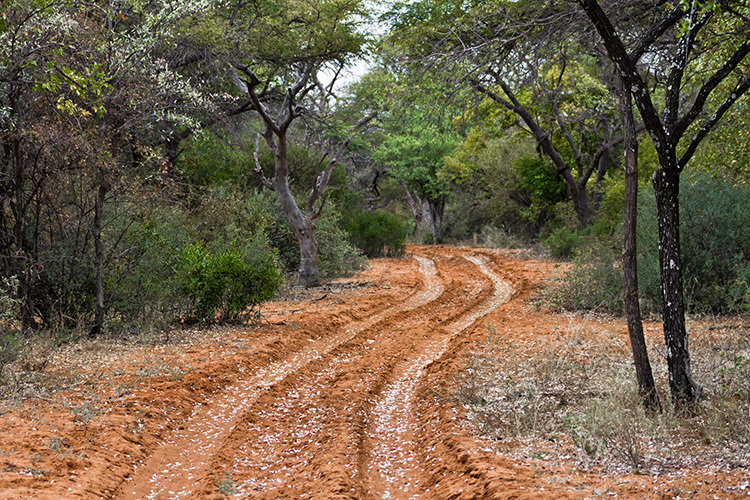 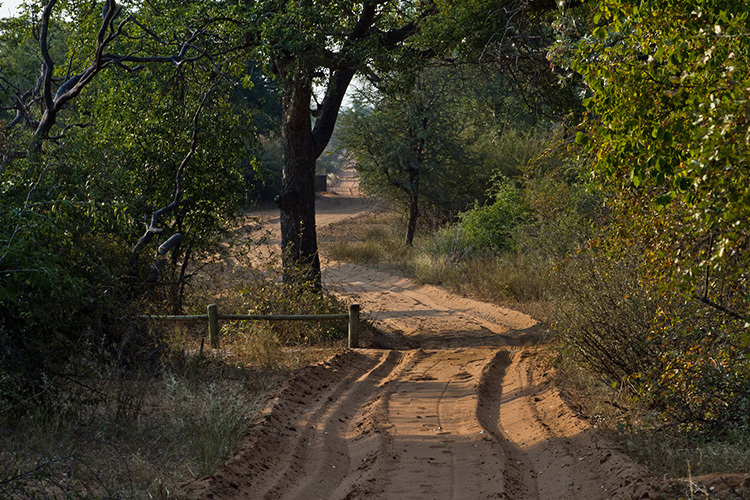 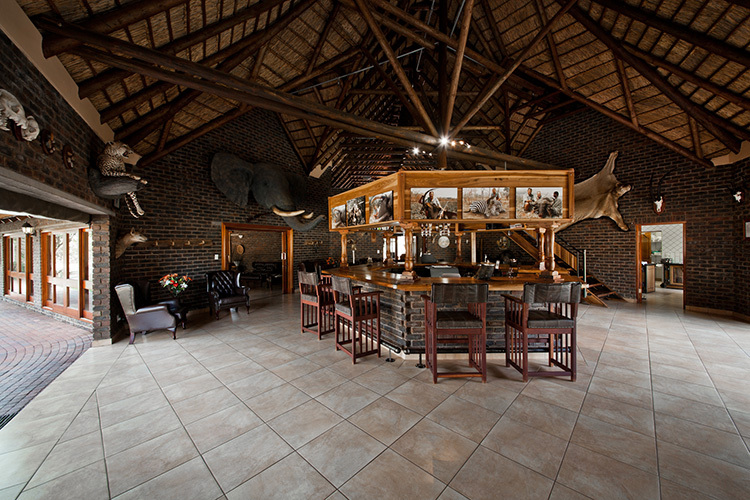 Set on a 10,000 hectare (100 square kilometer) private nature reserve, JWK Safaris is proud to bring you this first-class South African hunting concession that is conveniently situated 3-hours’ drive North West of Pretoria. 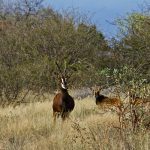 If you are interested in a more luxurious hunt where game movement is good from the time you start hunting in the morning, until you stop hunting in the evening yet you still insist on a fair chase hunt. 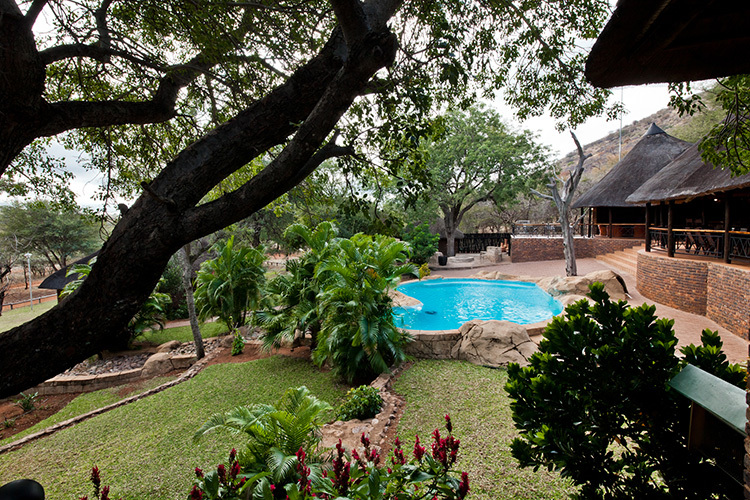 Then this South African hunting area will be perfect for you. 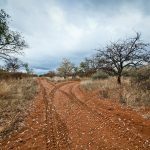 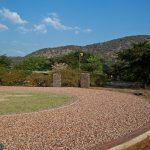 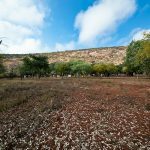 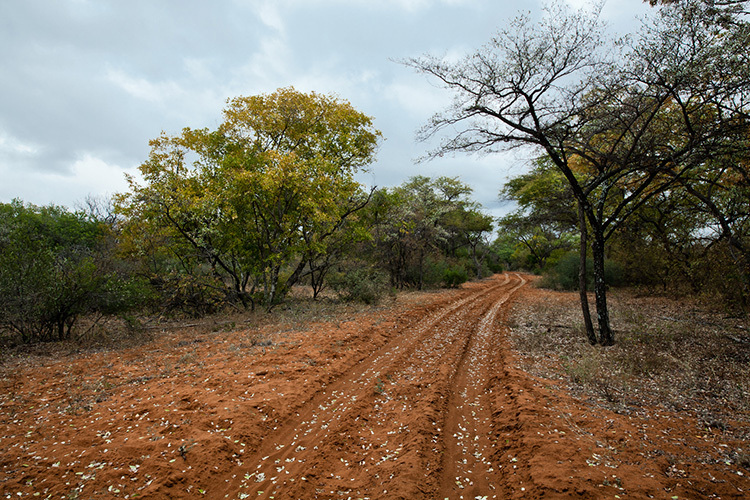 The hunting area has many flat and mountainous sections that are ideal for all hunters whether you are interested in hunting mountains or flat savanna’s. 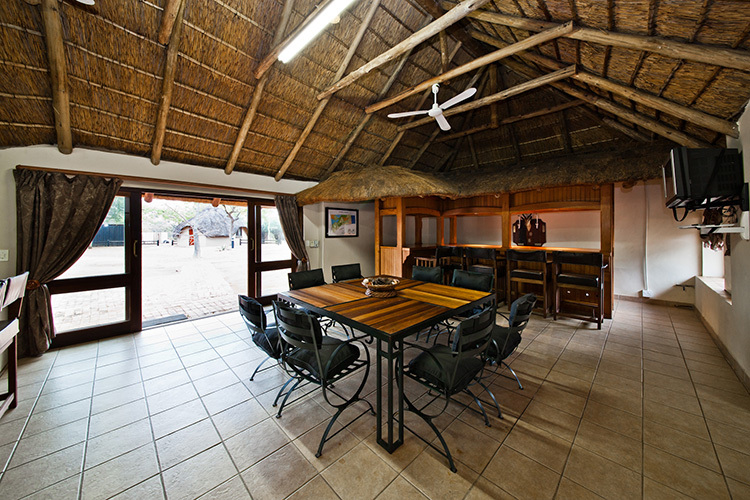 This hunting area will accommodate all hunting requirements and expectations you may have. 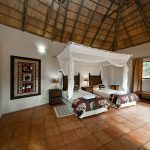 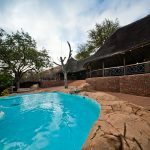 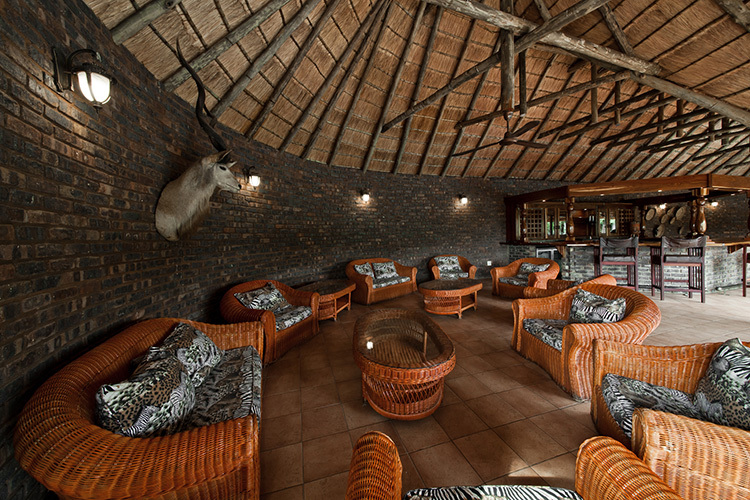 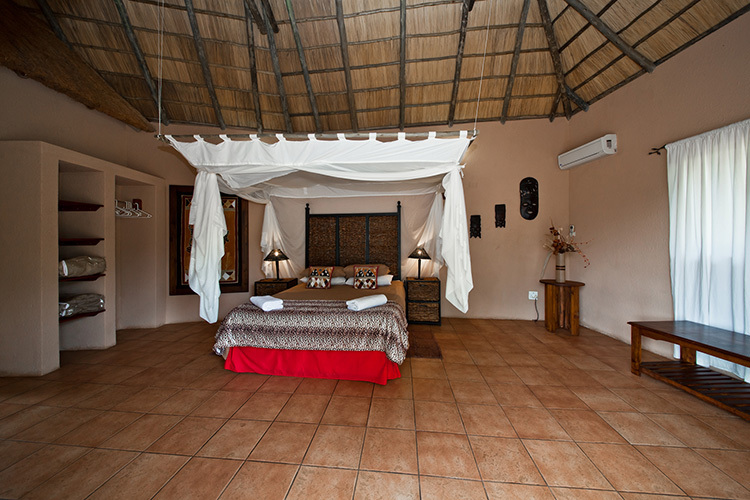 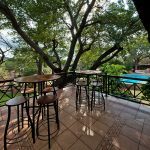 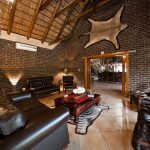 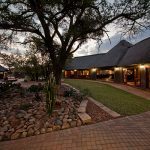 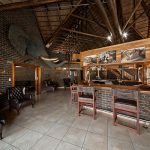 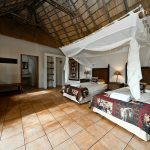 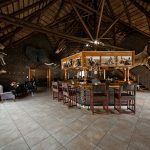 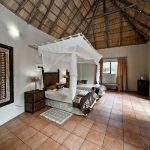 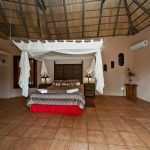 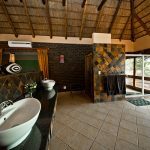 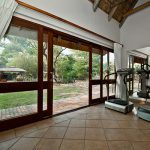 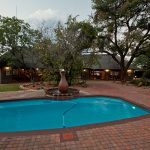 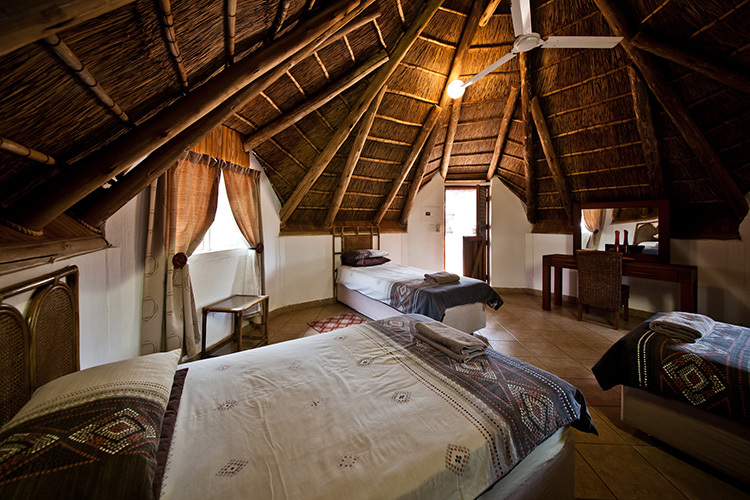 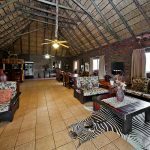 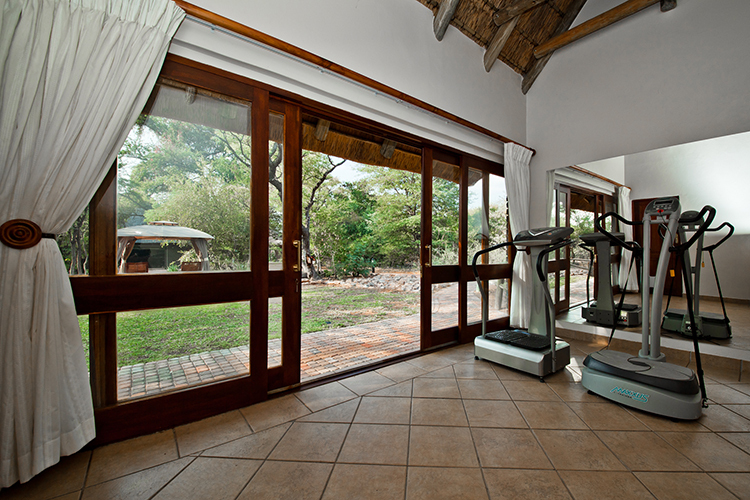 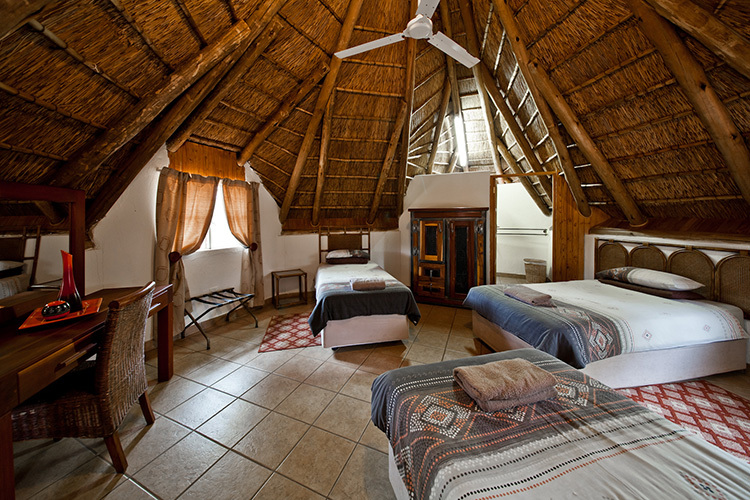 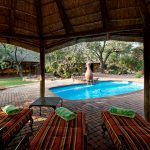 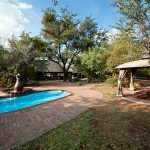 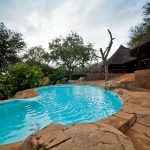 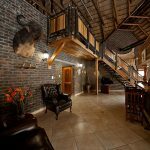 The hunting area has 3 lodges within the 100-square kilometer area, there is the main lodge, luxury 5-star that includes a gym, swimming pool, free wifi. 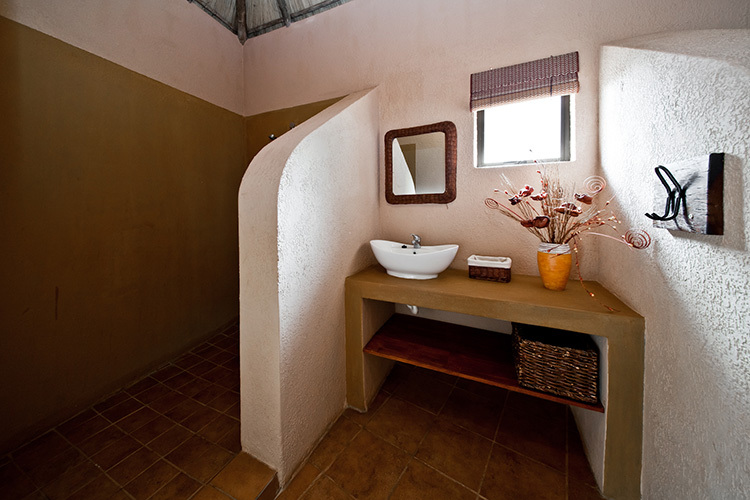 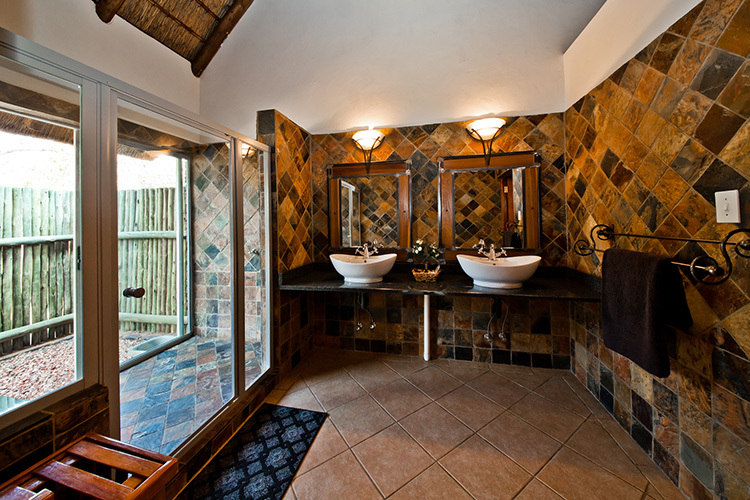 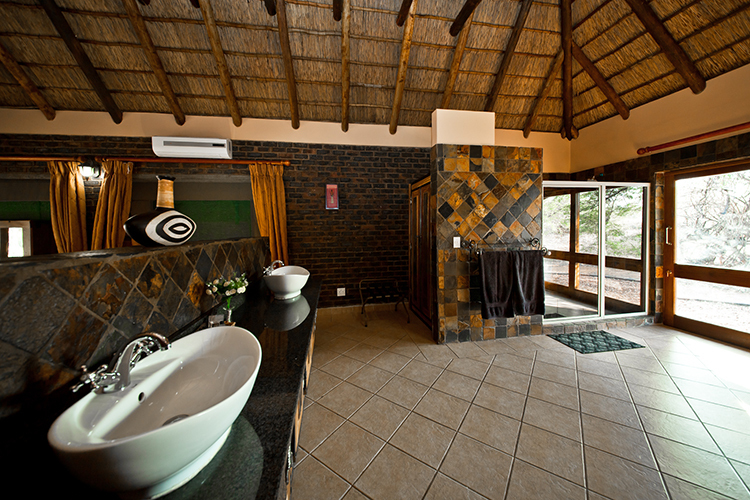 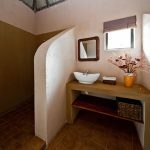 There are seven client chalets all with en-suite bathrooms. 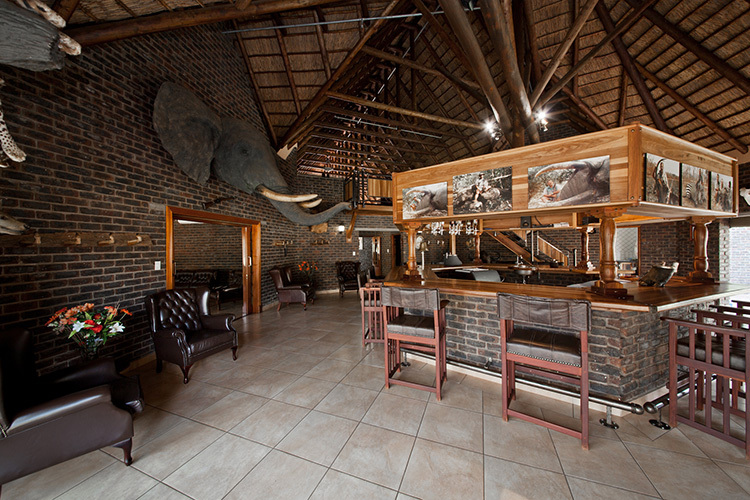 The bar is fully stocked next to a formal lounge with satellite/cable television plus a private office area that is available to guests wanting to catch up on emails/Skype calls etc. 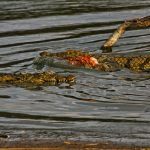 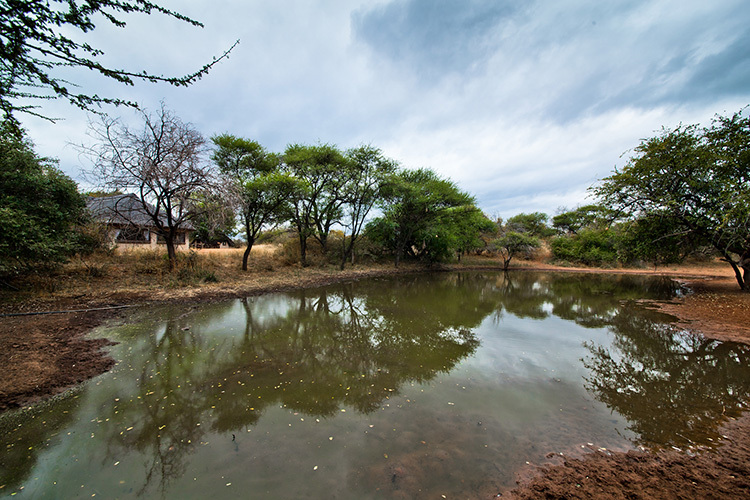 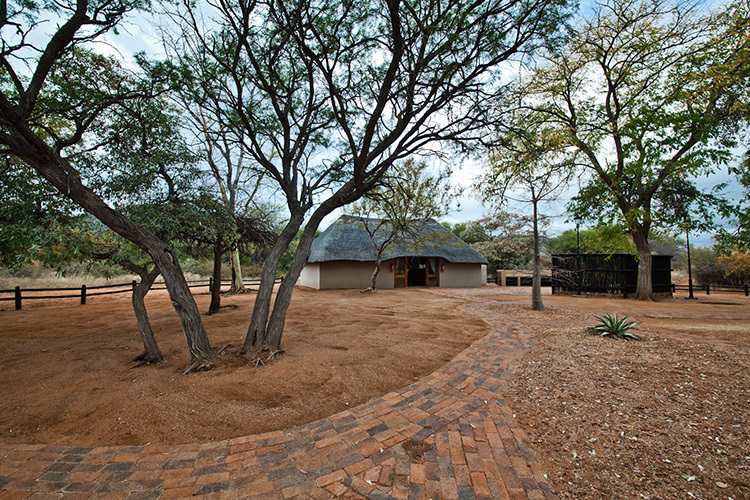 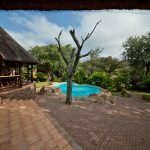 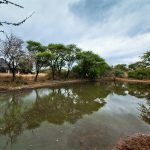 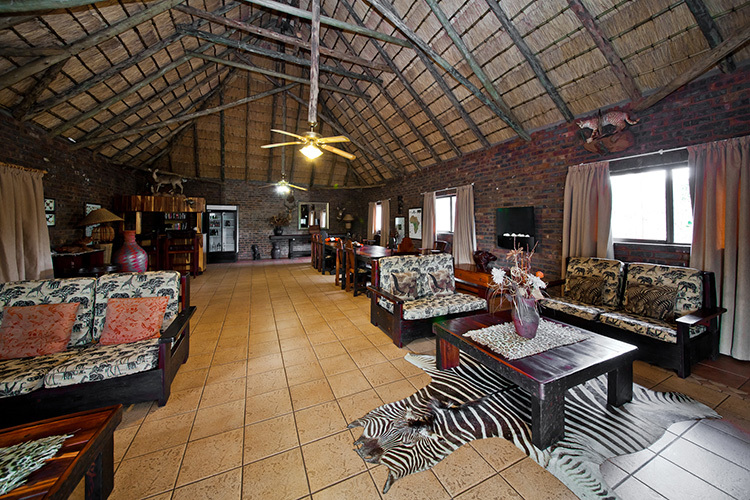 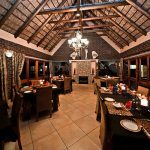 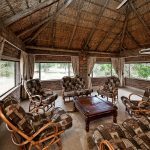 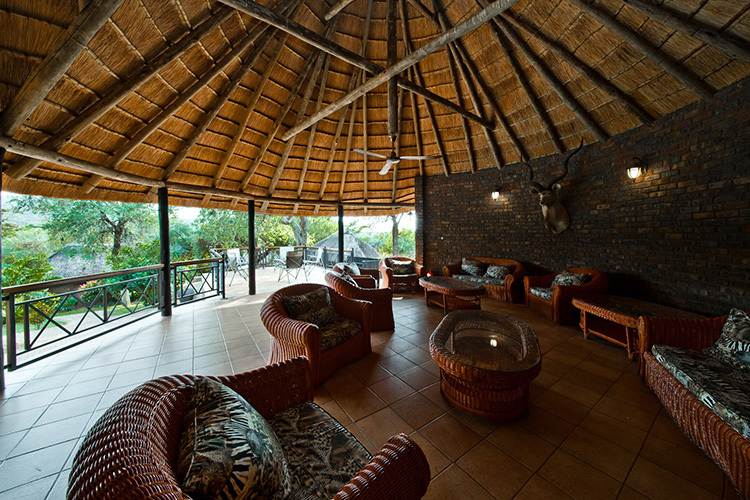 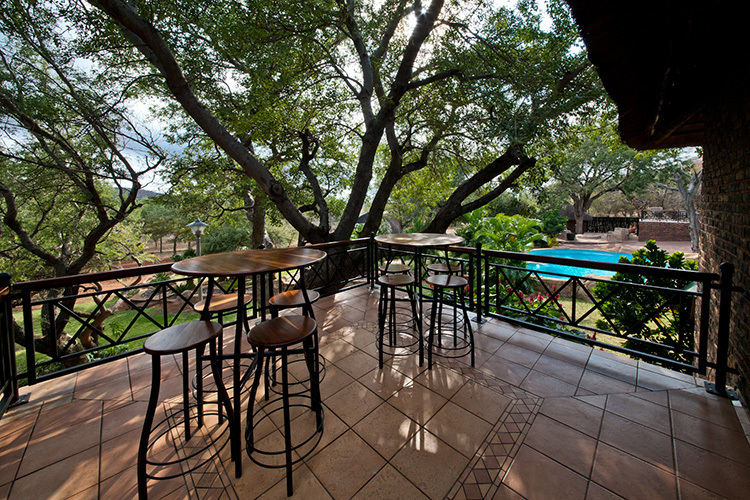 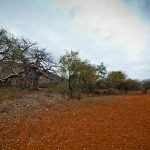 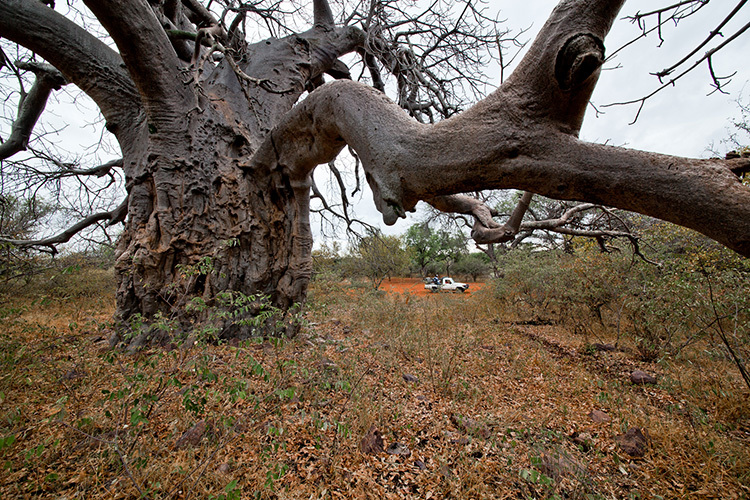 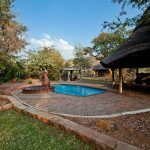 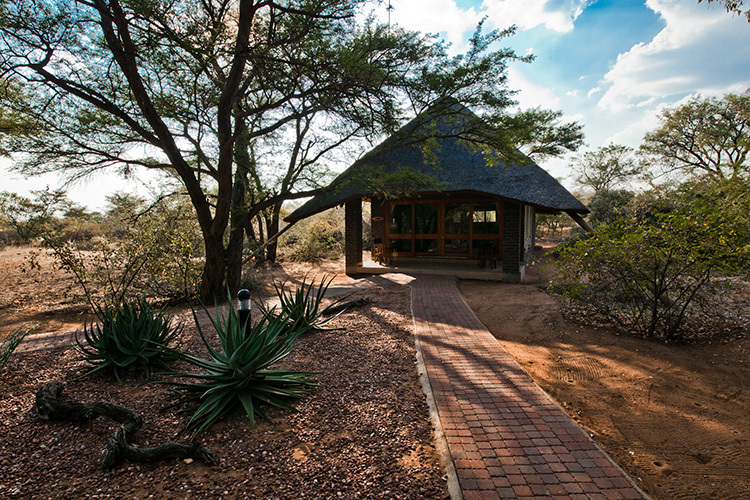 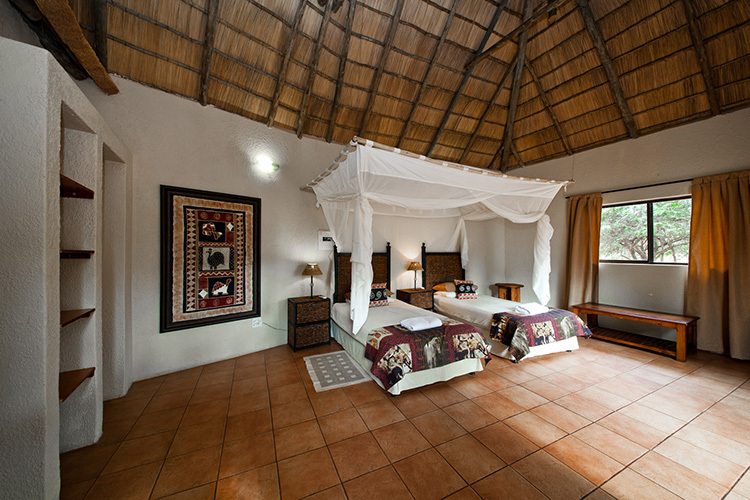 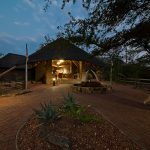 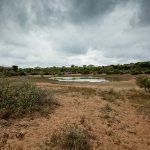 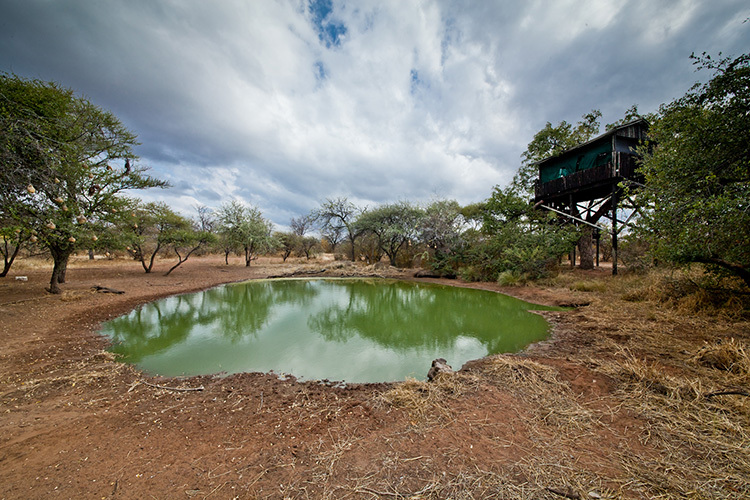 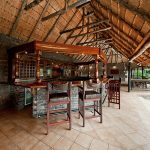 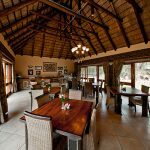 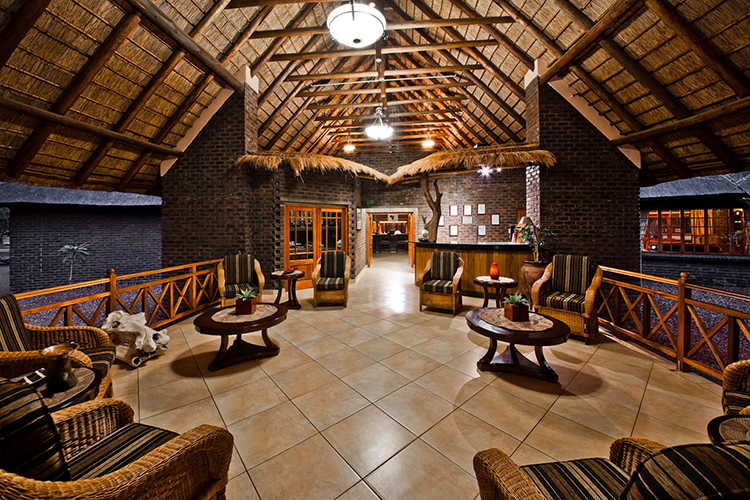 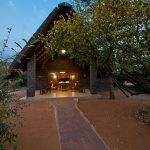 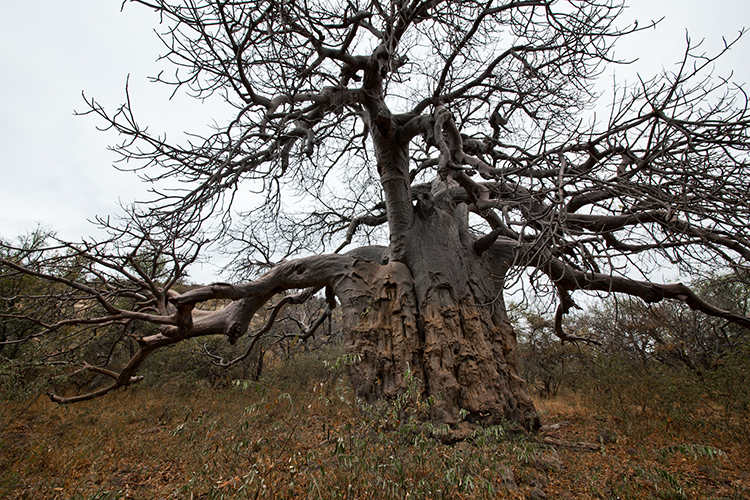 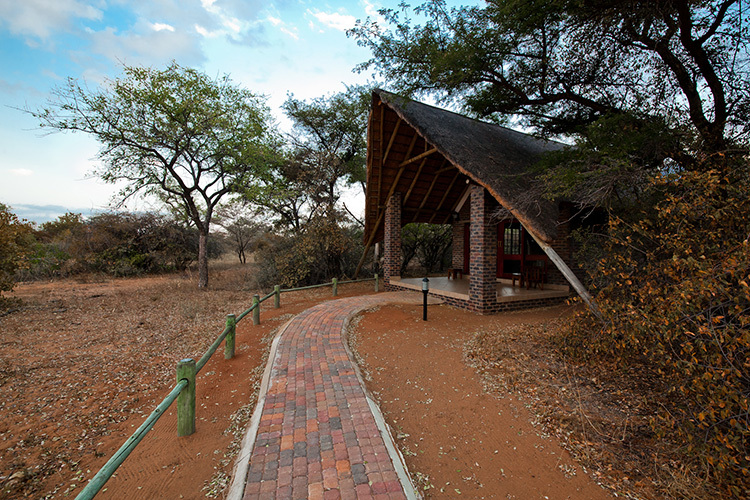 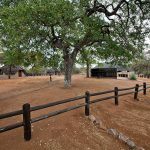 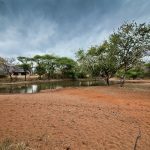 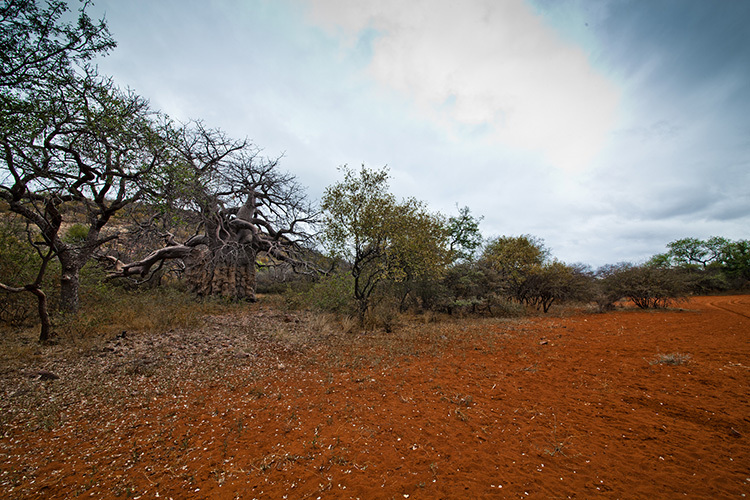 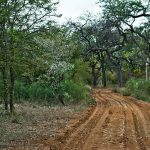 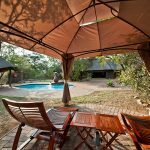 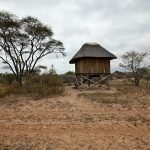 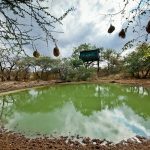 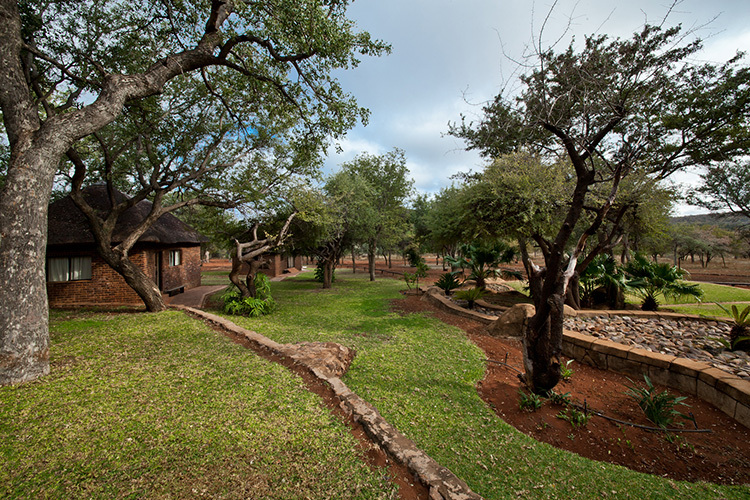 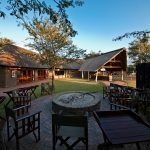 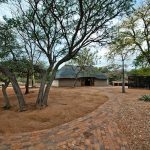 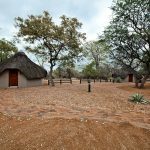 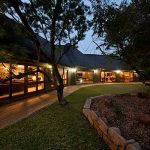 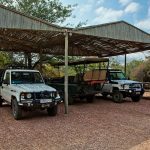 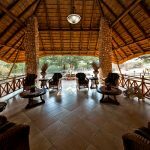 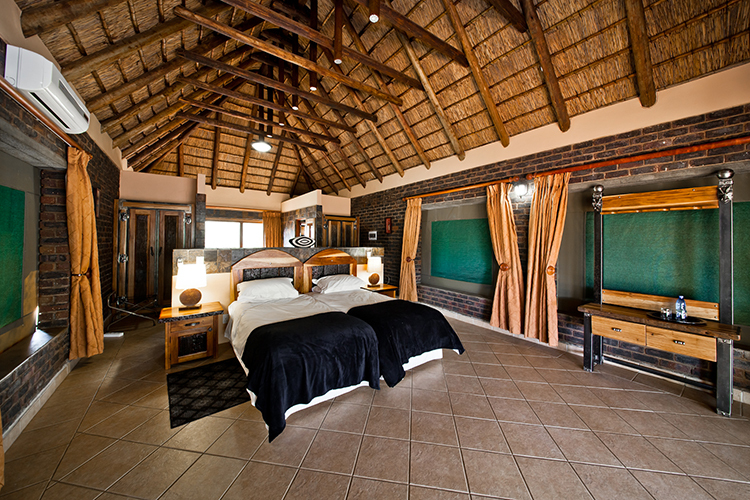 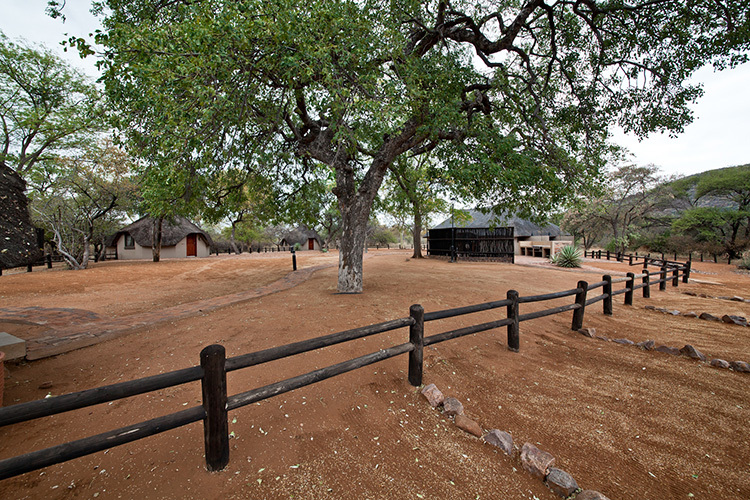 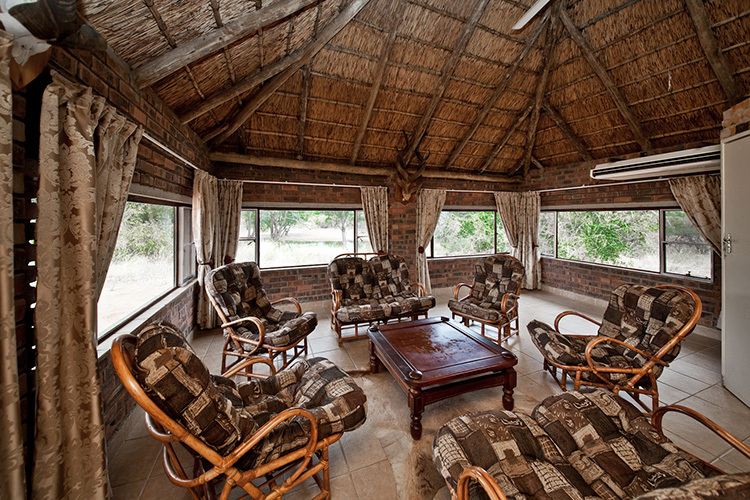 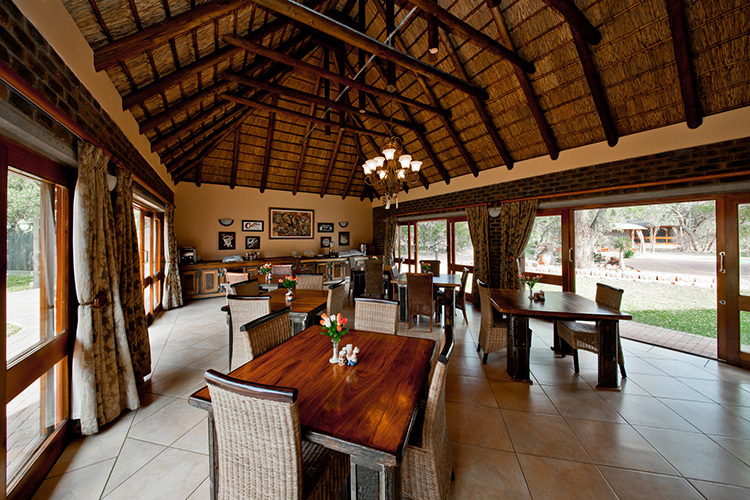 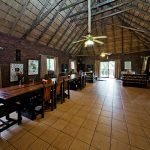 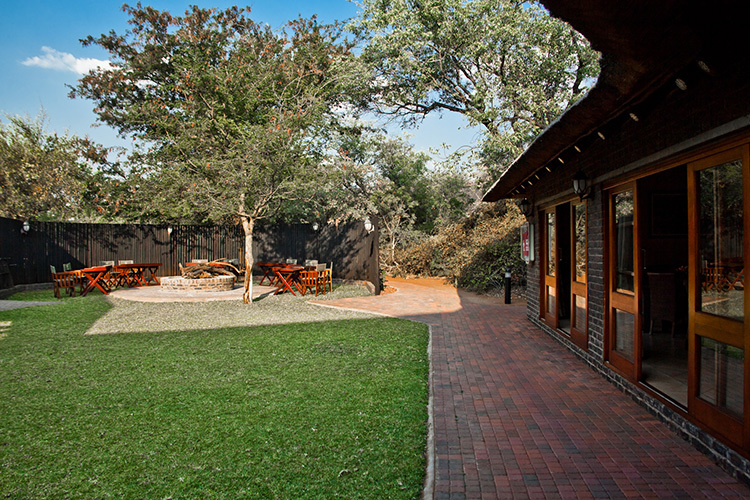 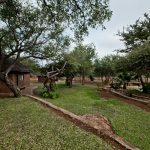 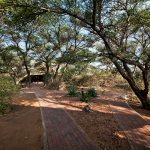 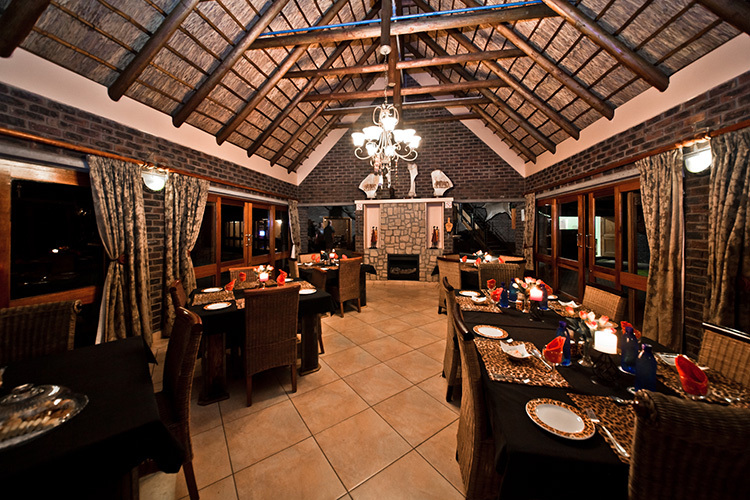 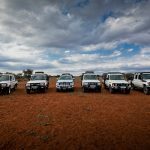 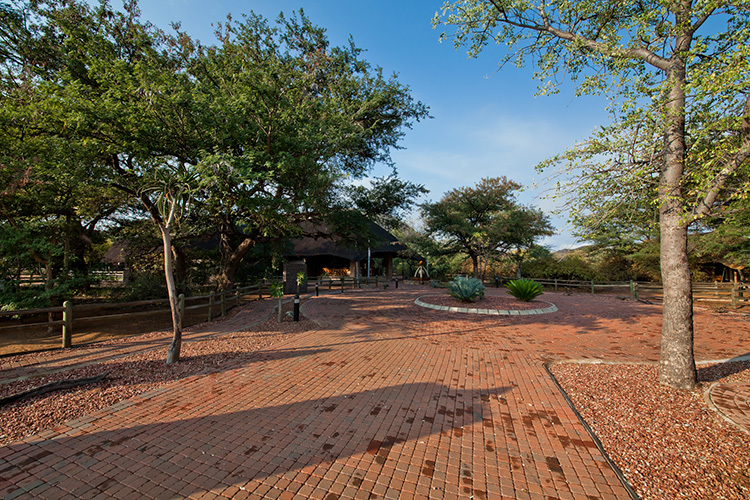 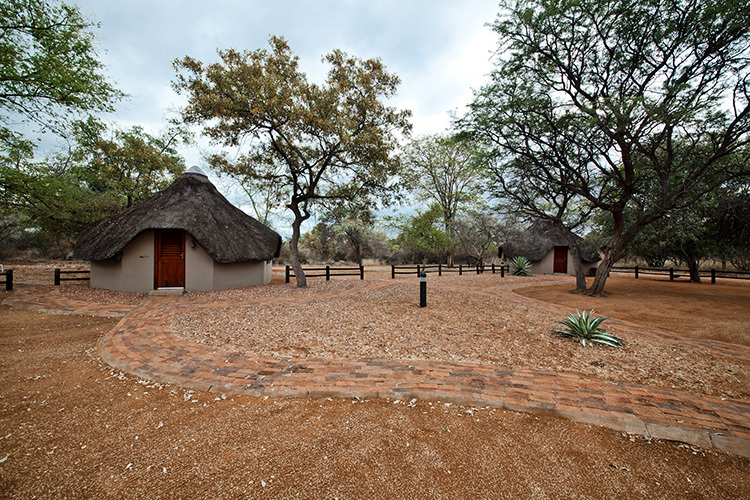 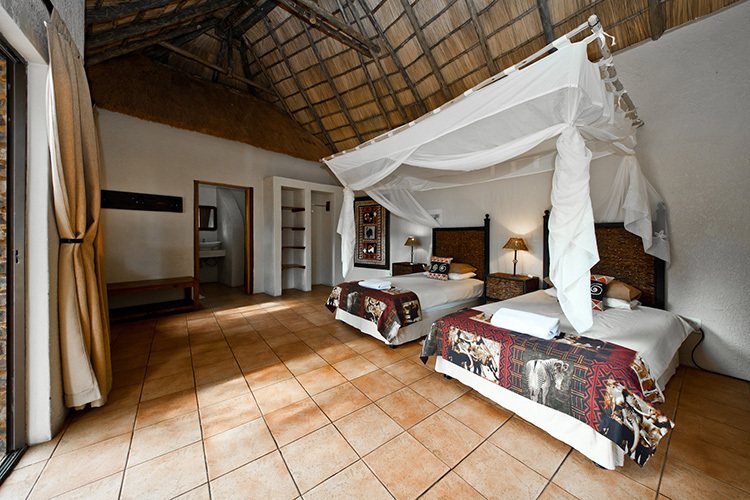 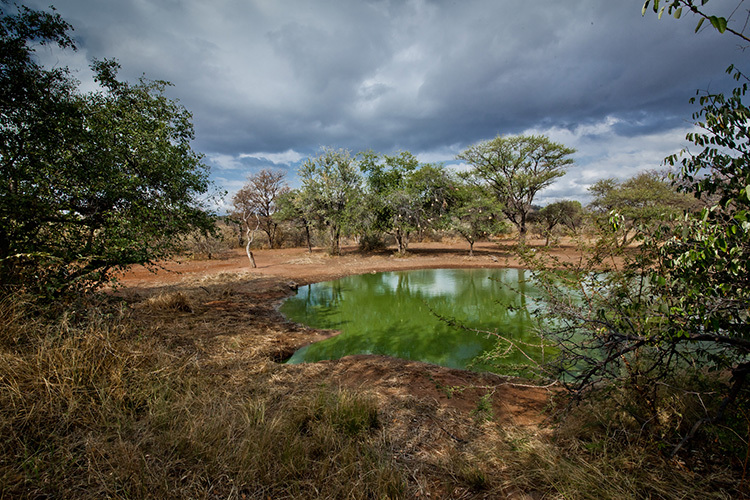 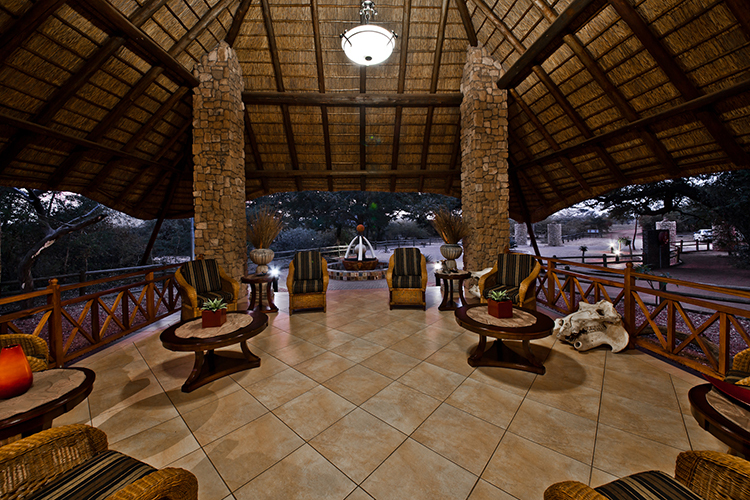 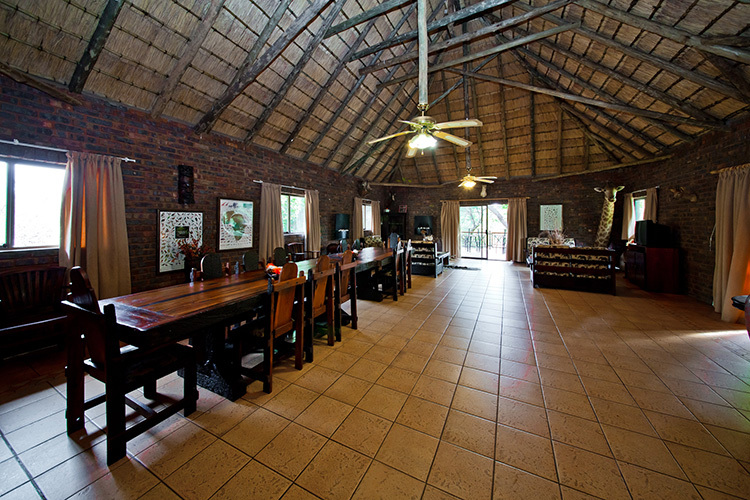 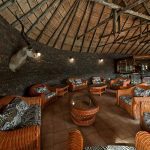 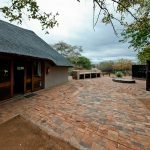 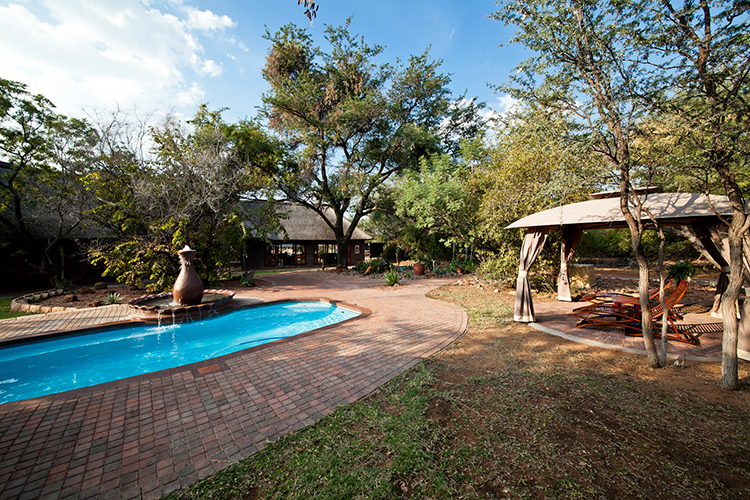 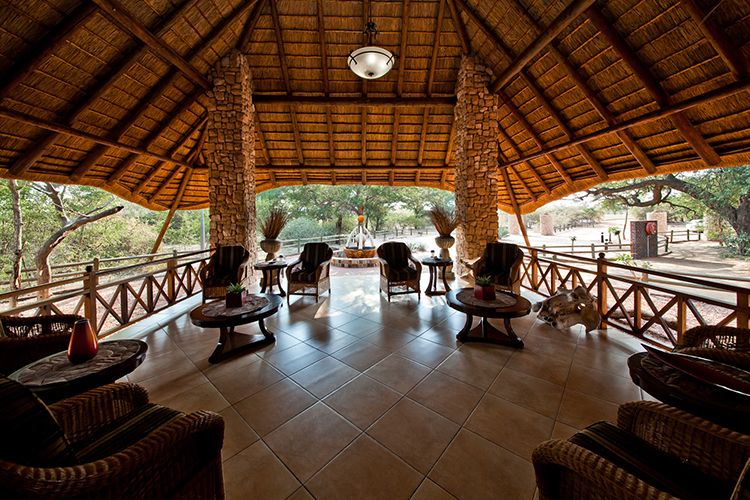 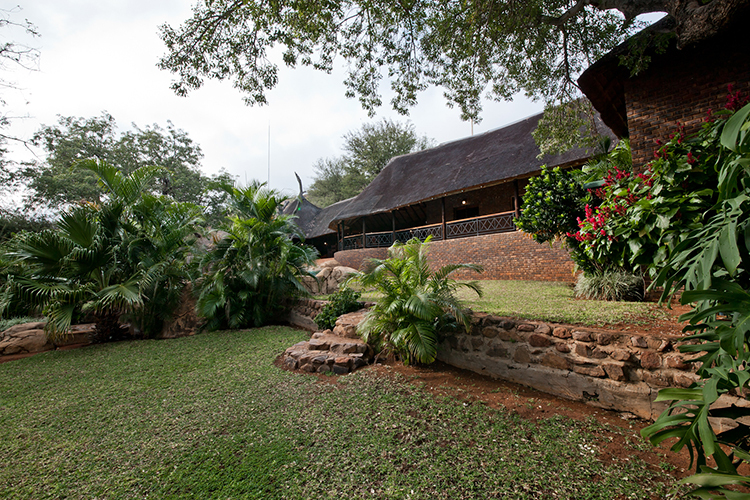 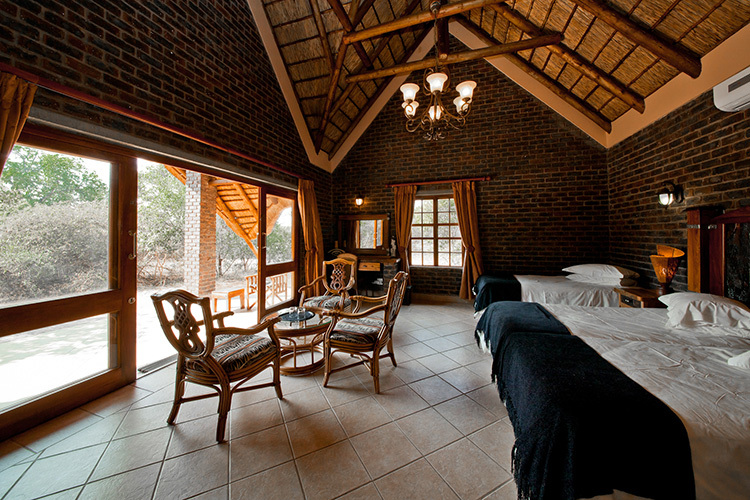 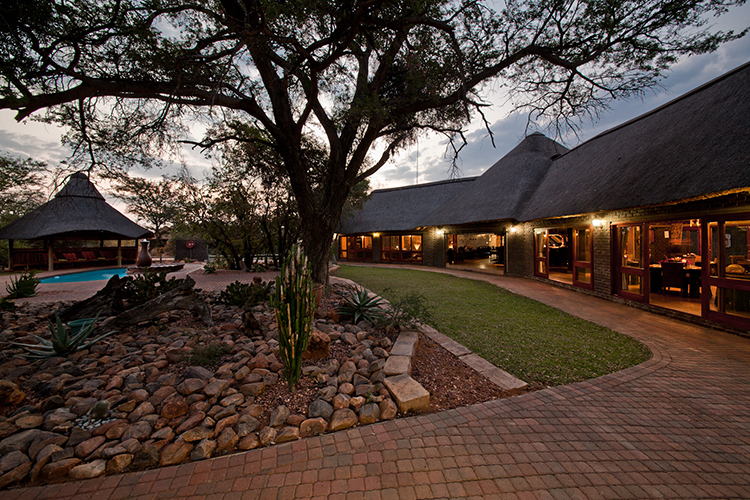 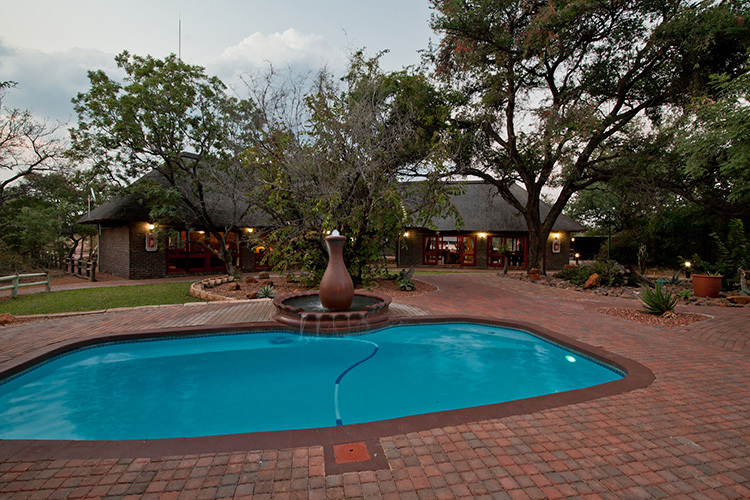 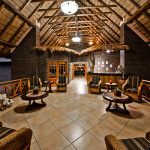 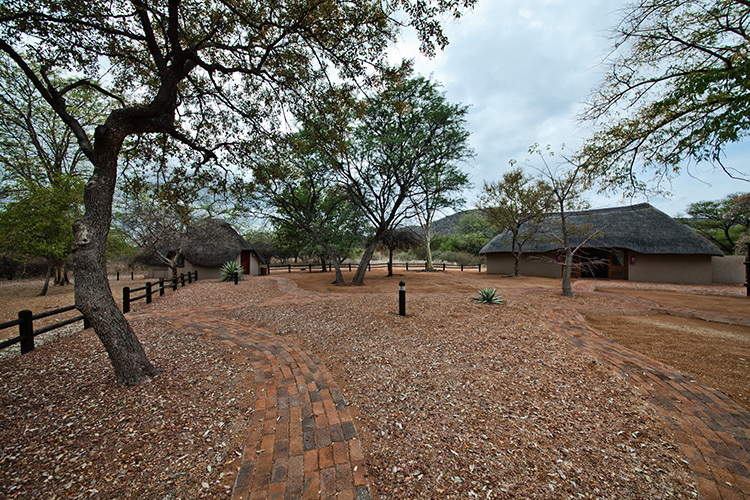 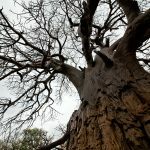 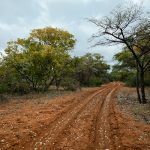 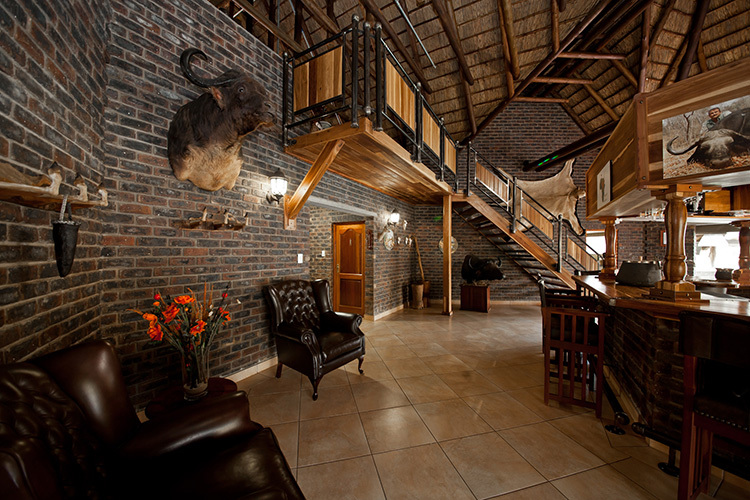 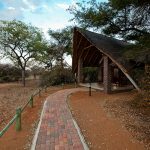 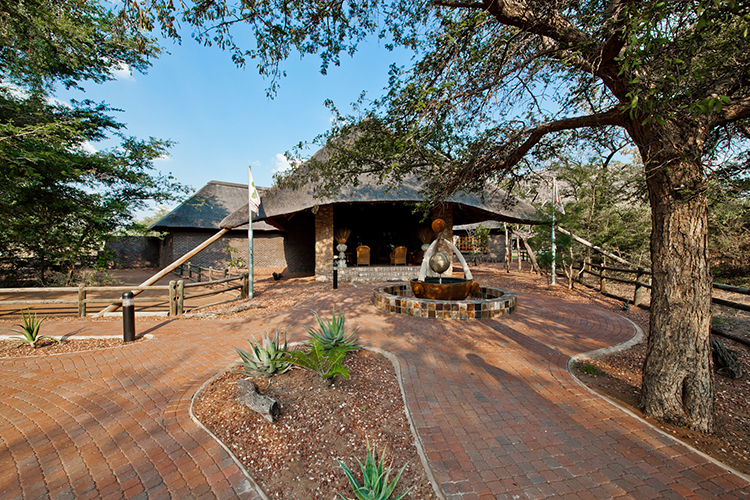 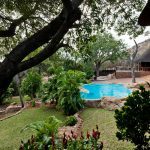 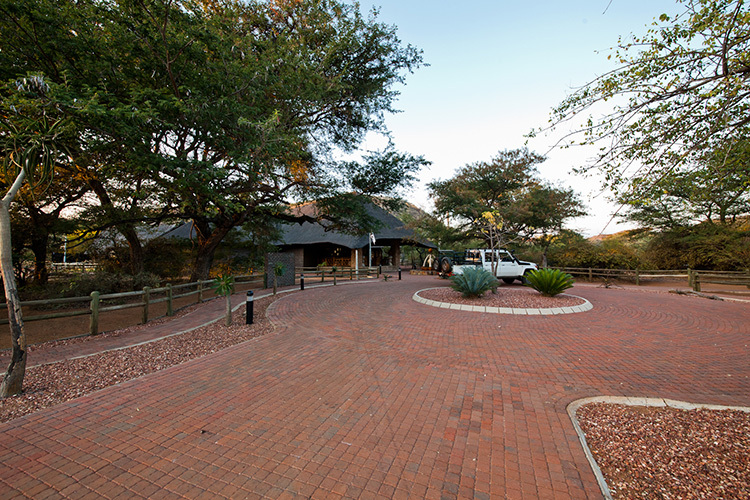 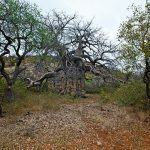 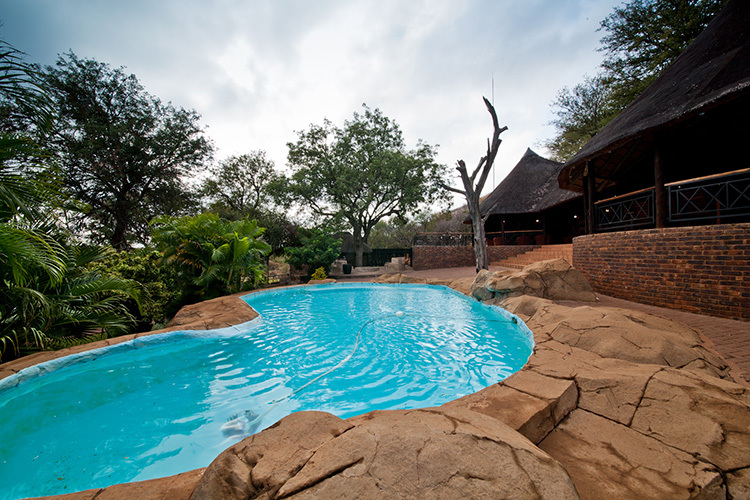 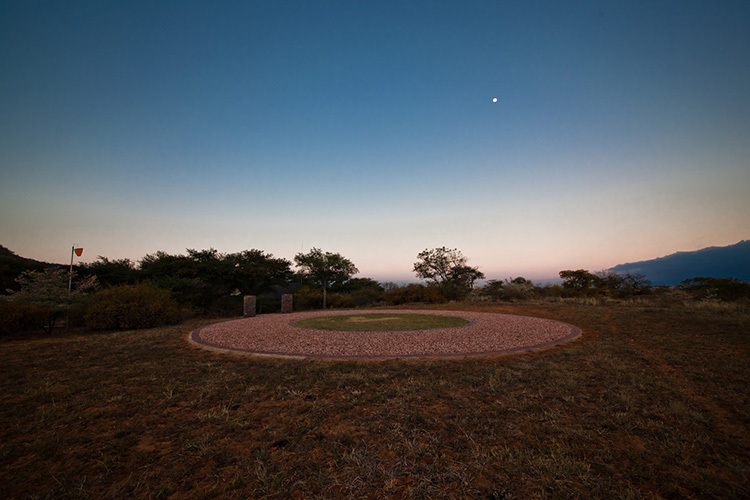 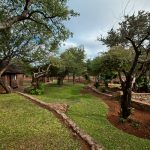 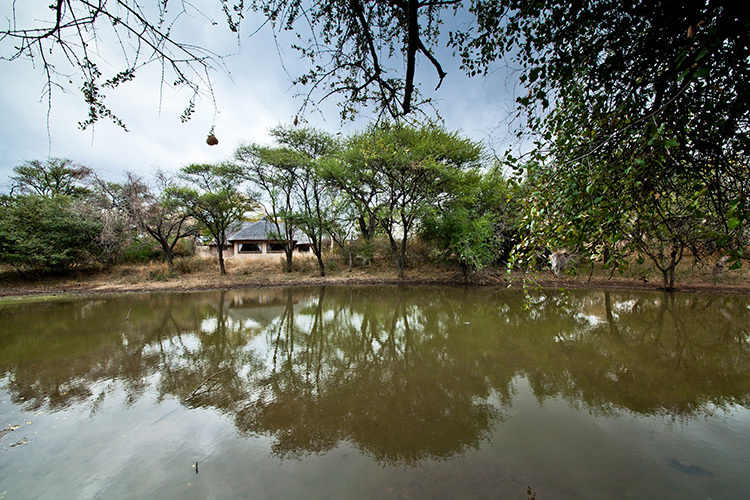 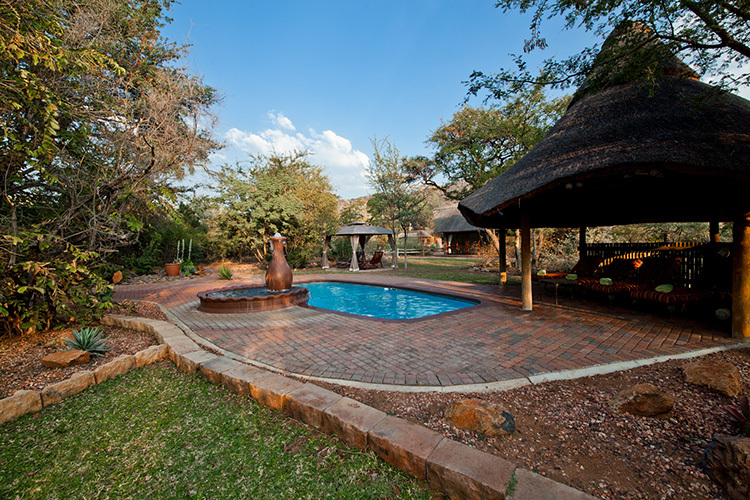 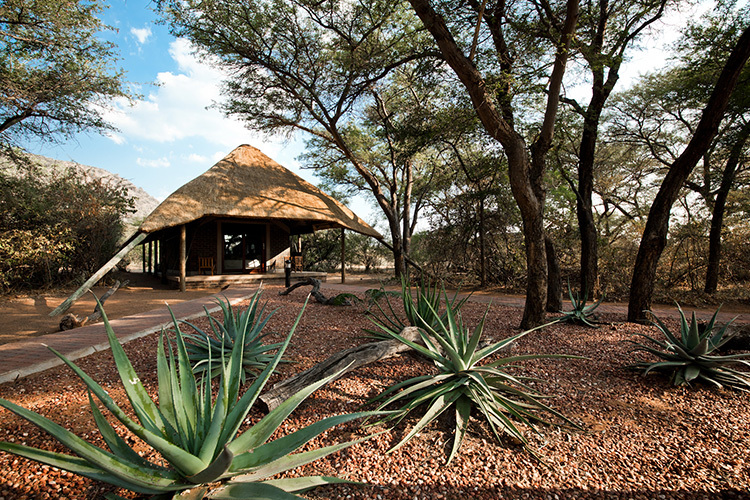 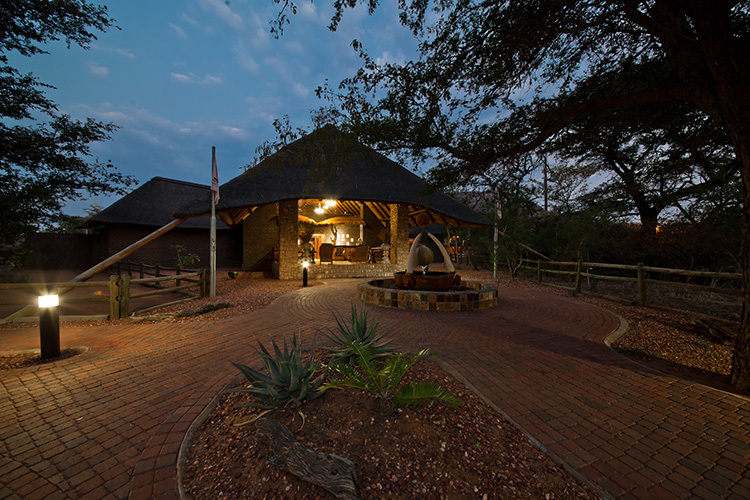 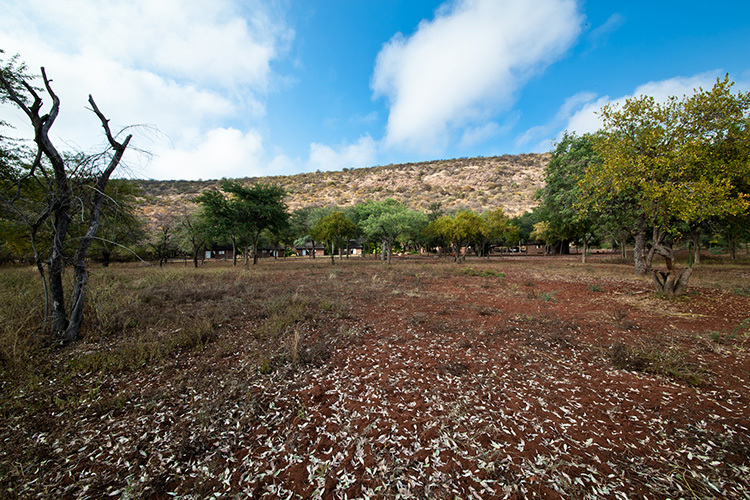 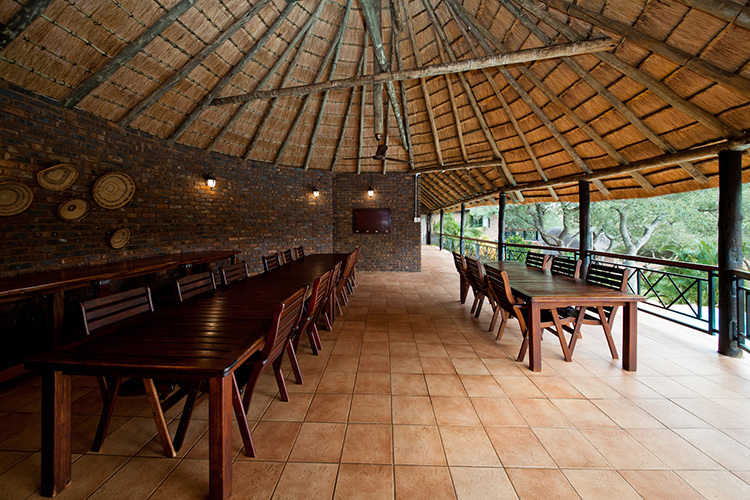 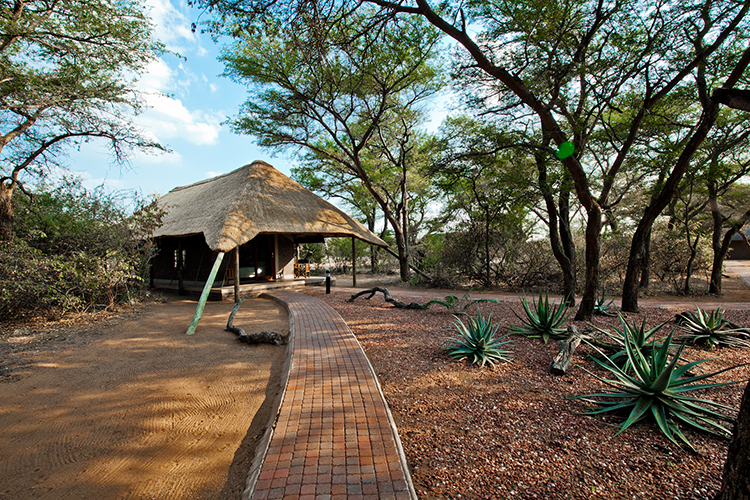 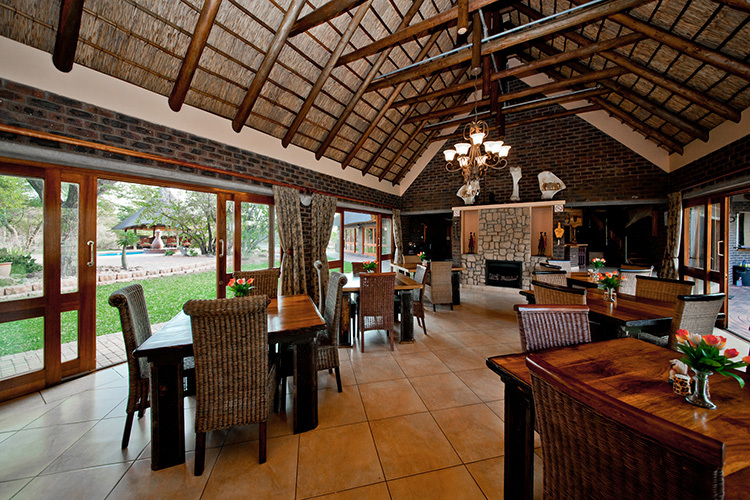 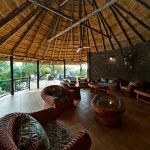 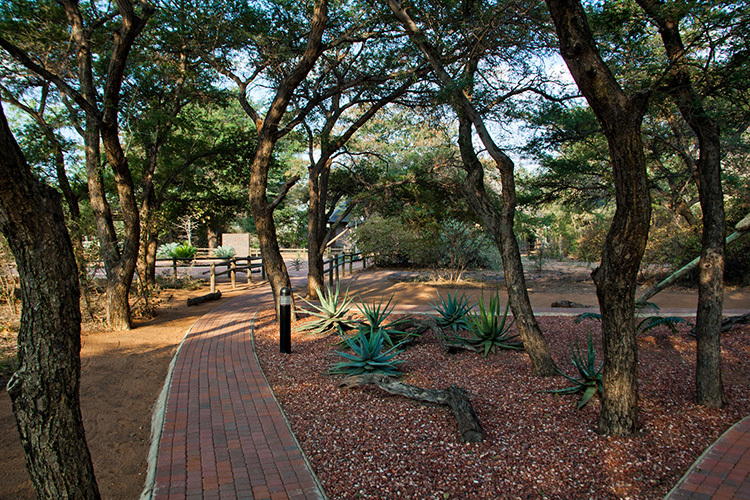 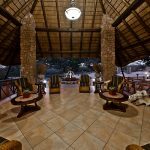 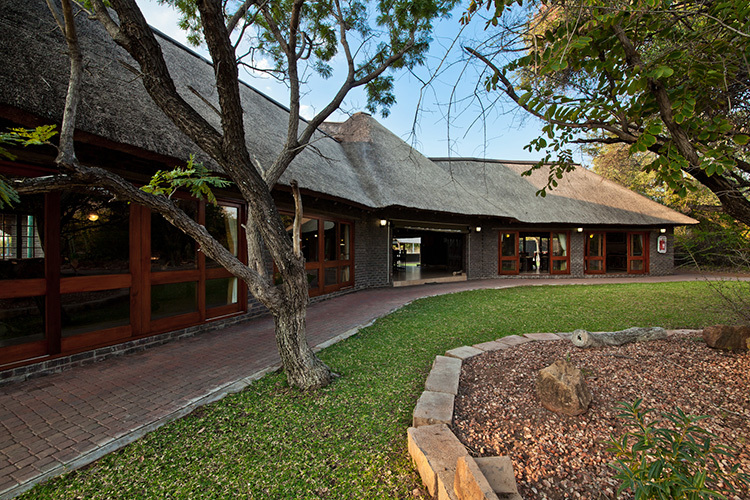 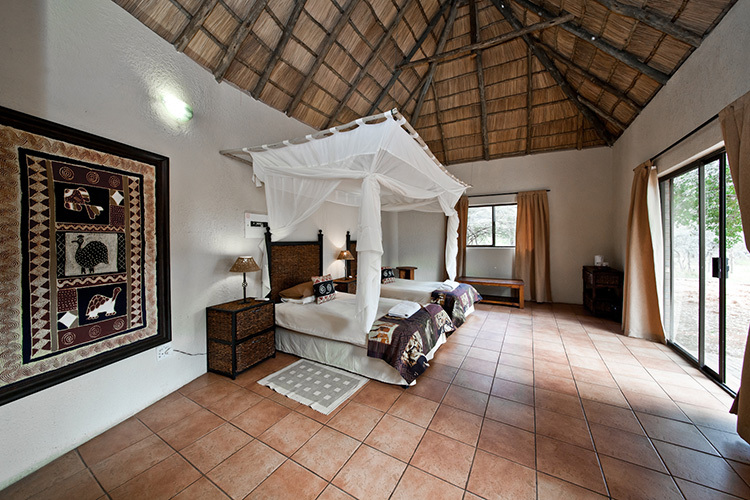 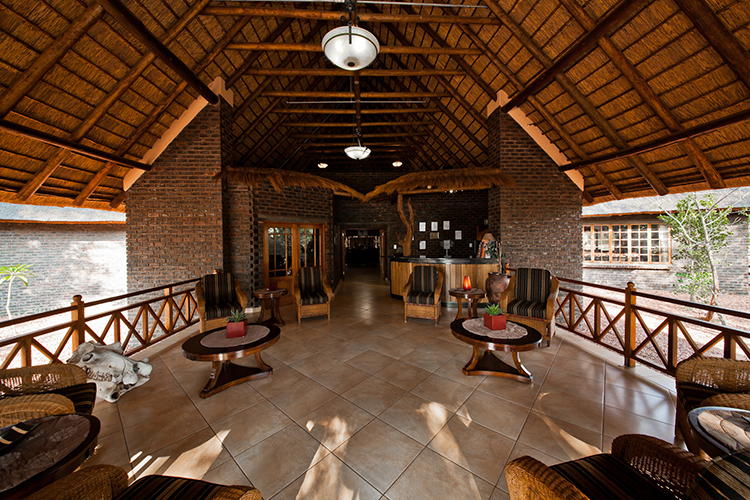 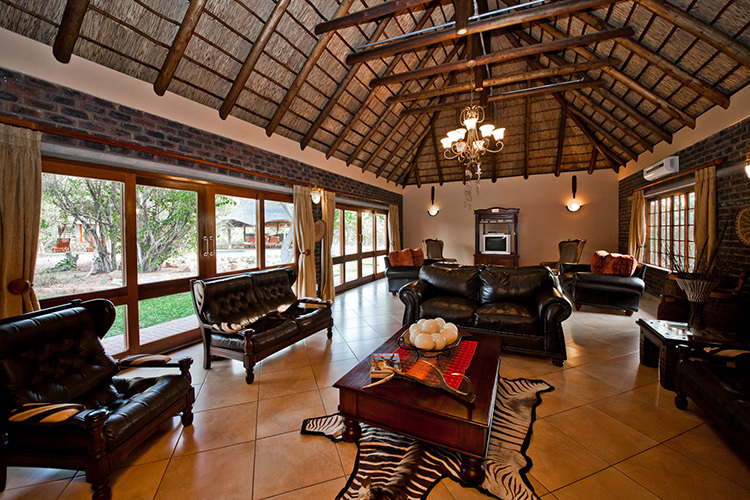 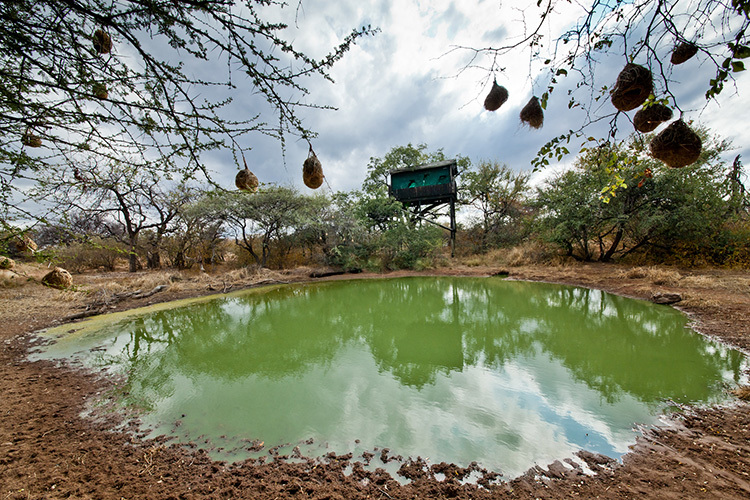 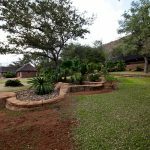 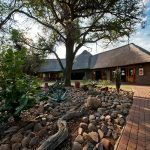 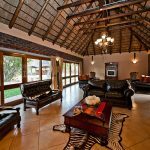 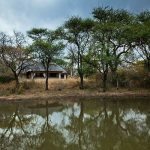 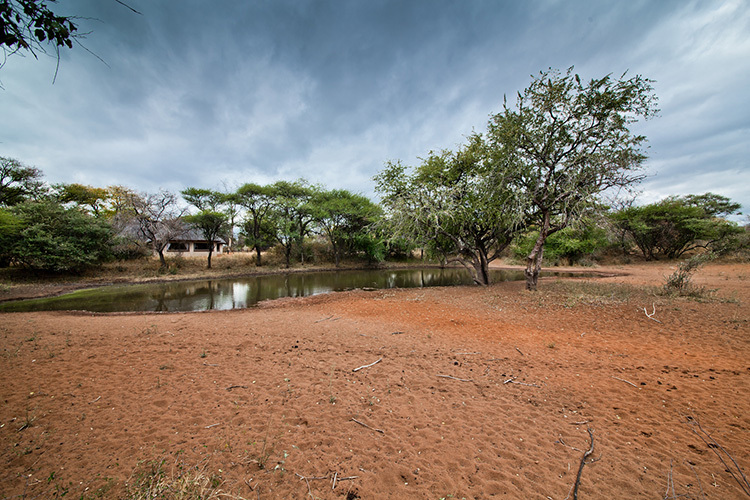 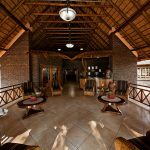 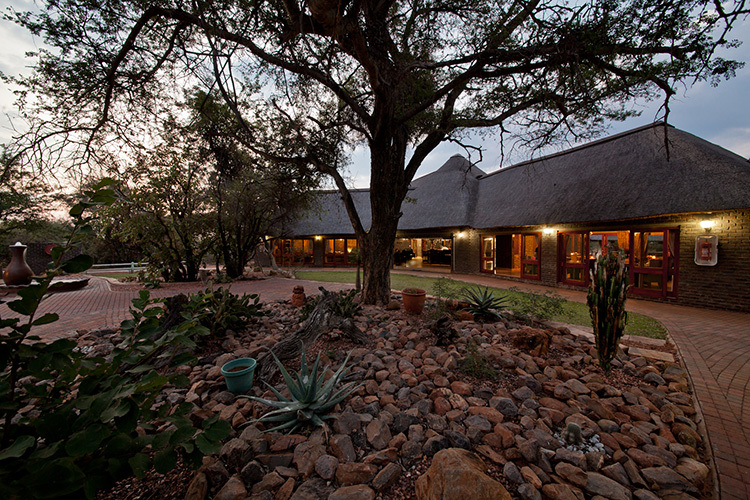 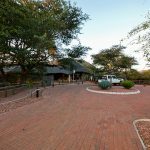 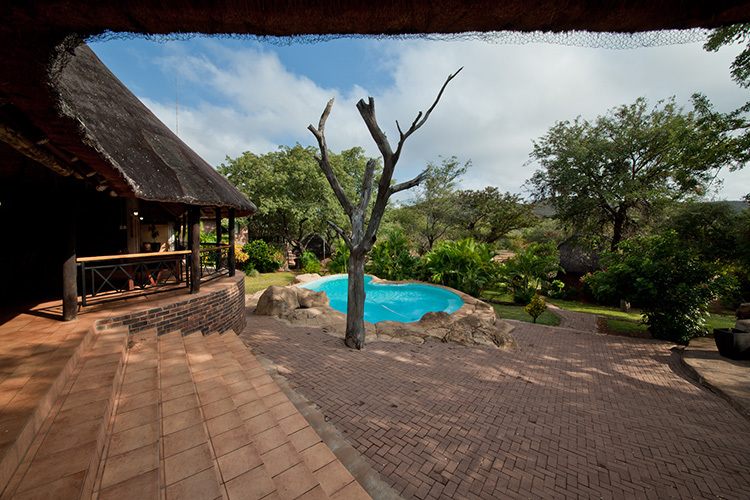 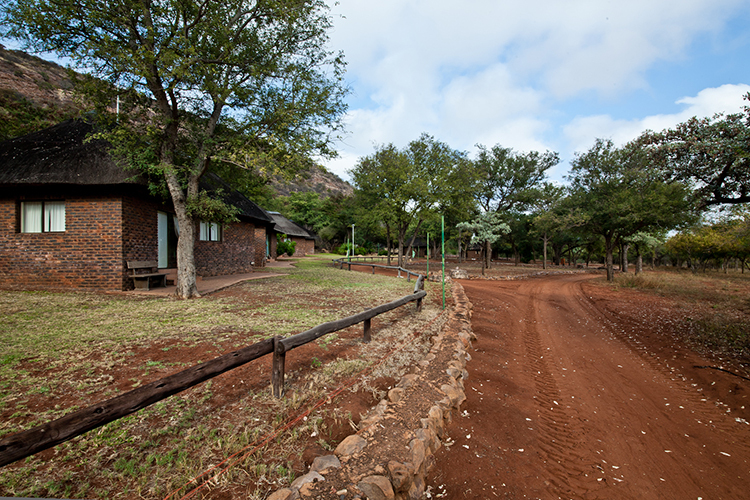 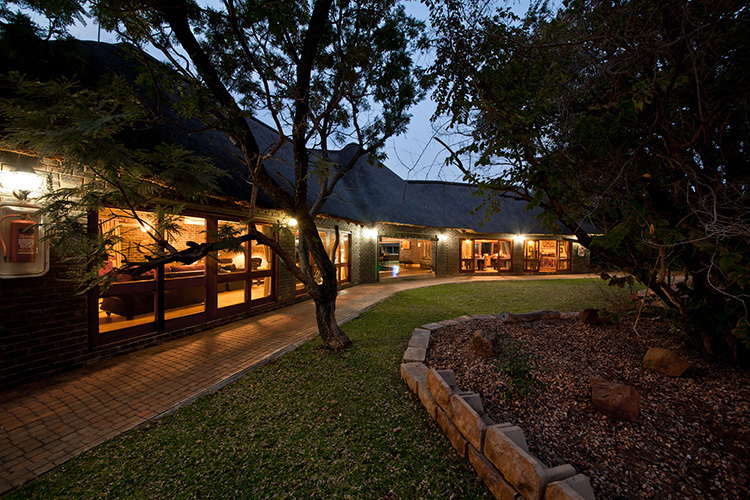 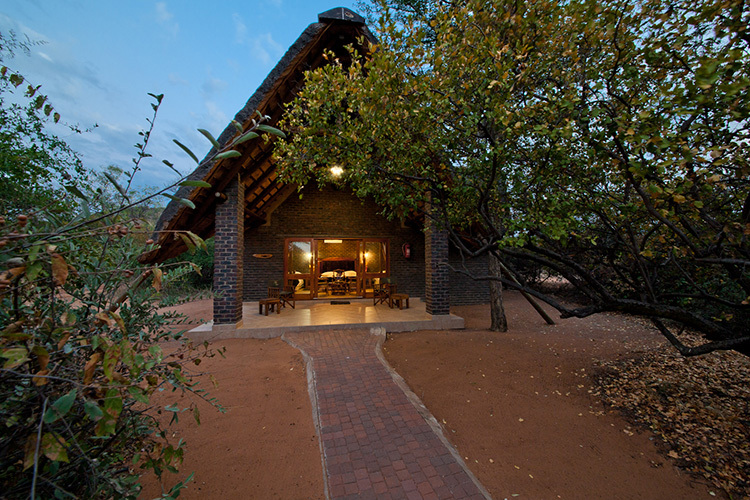 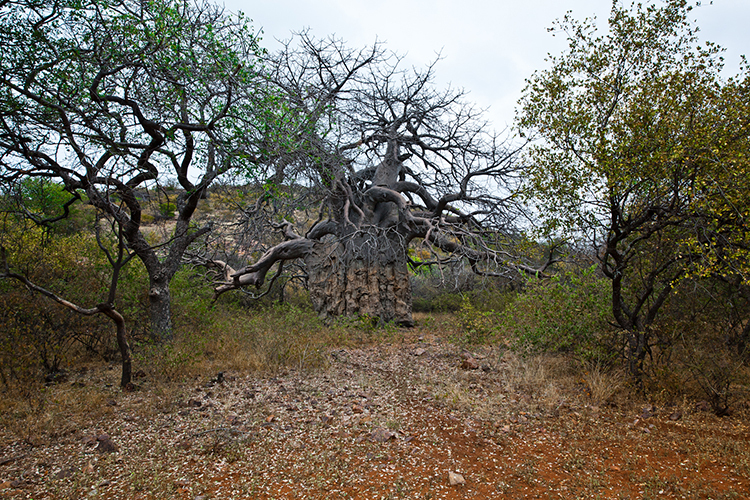 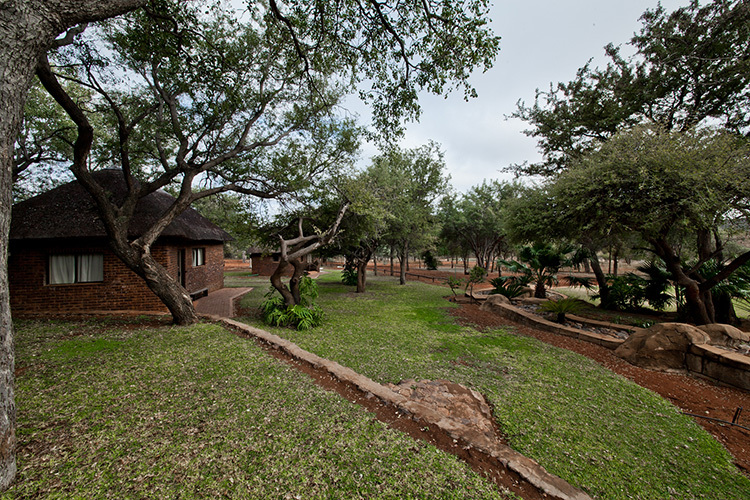 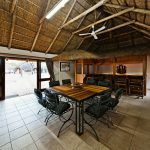 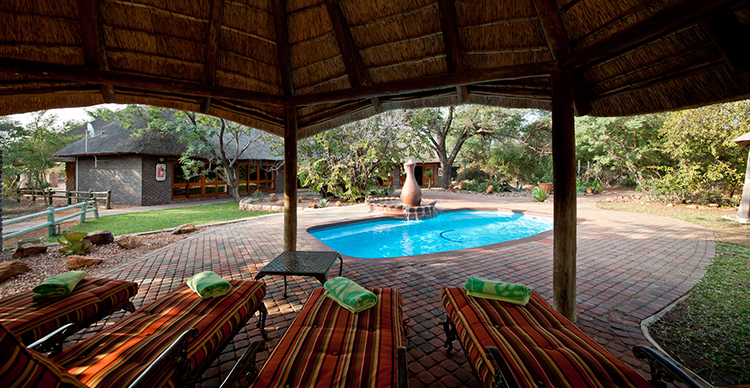 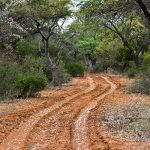 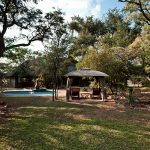 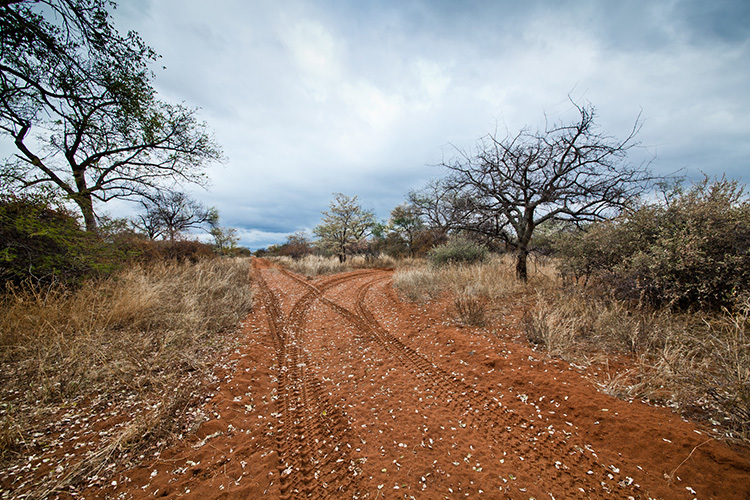 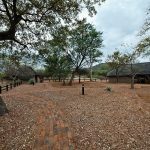 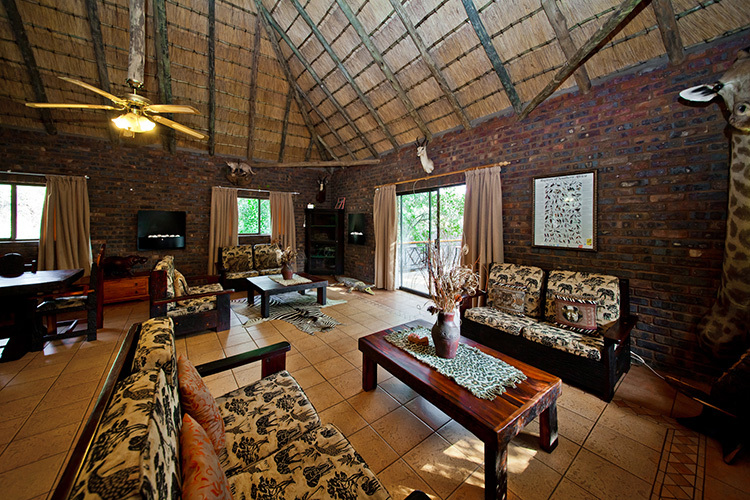 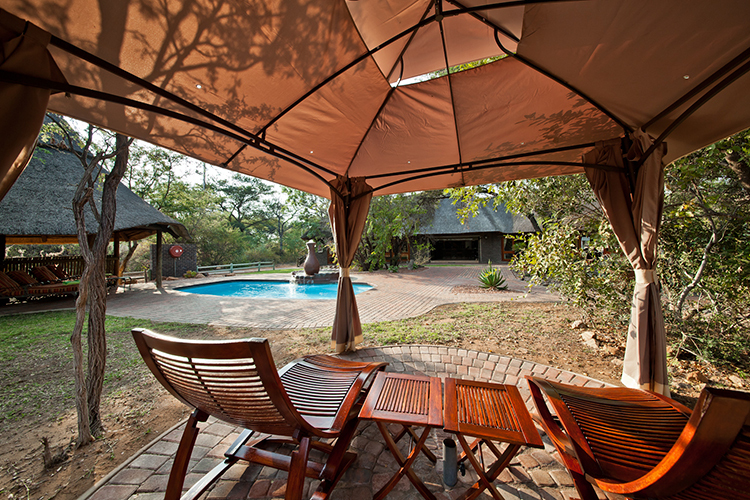 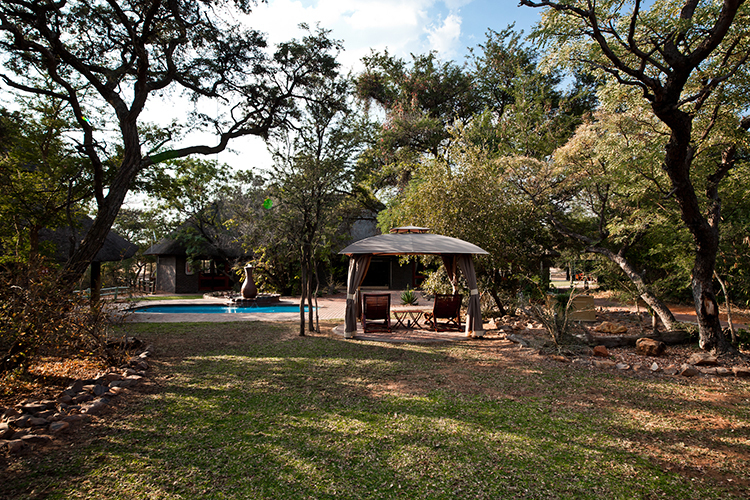 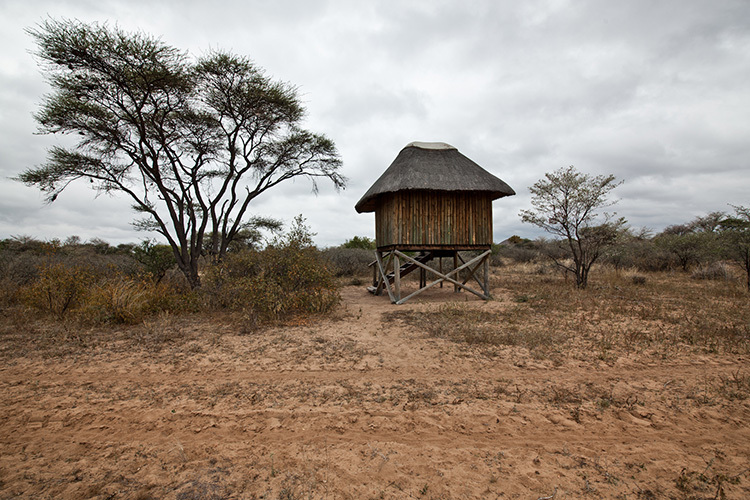 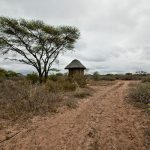 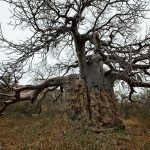 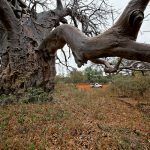 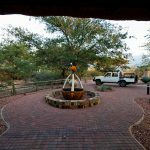 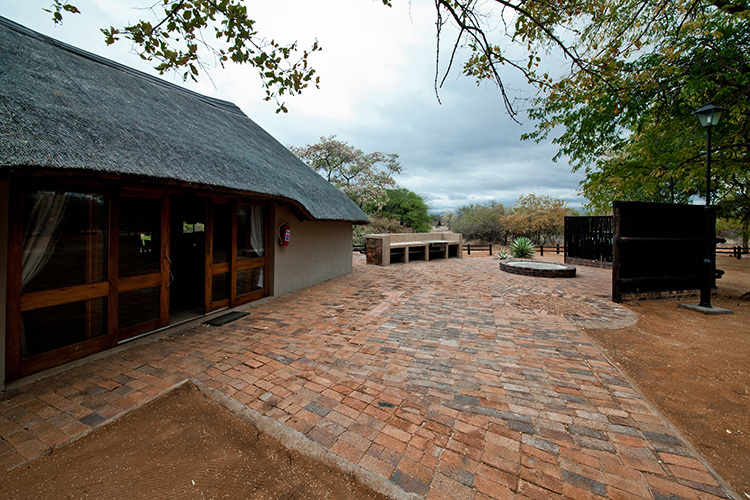 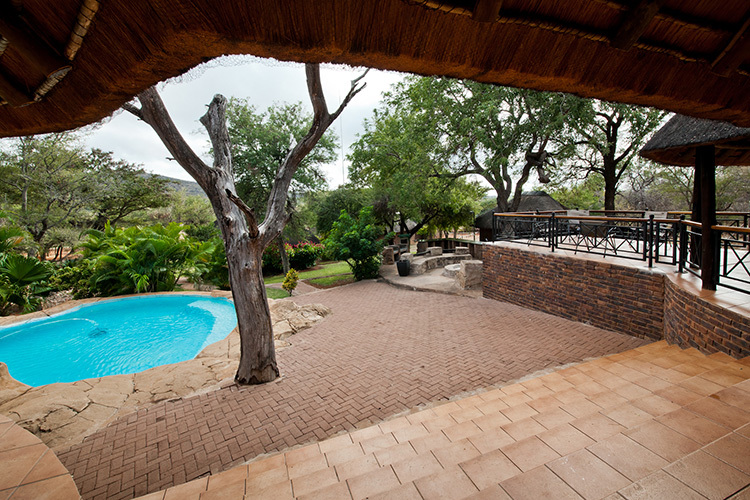 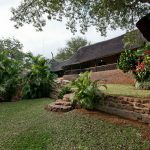 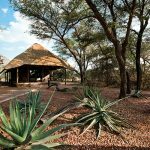 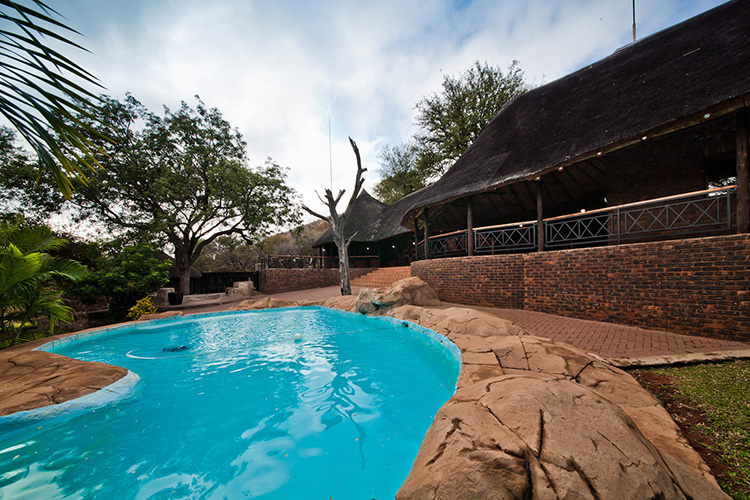 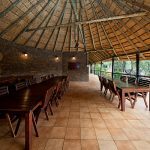 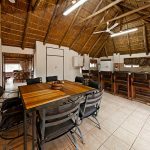 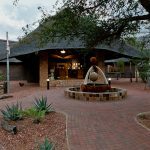 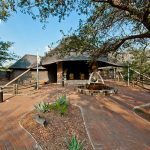 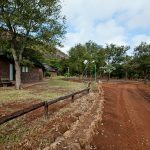 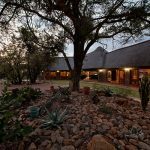 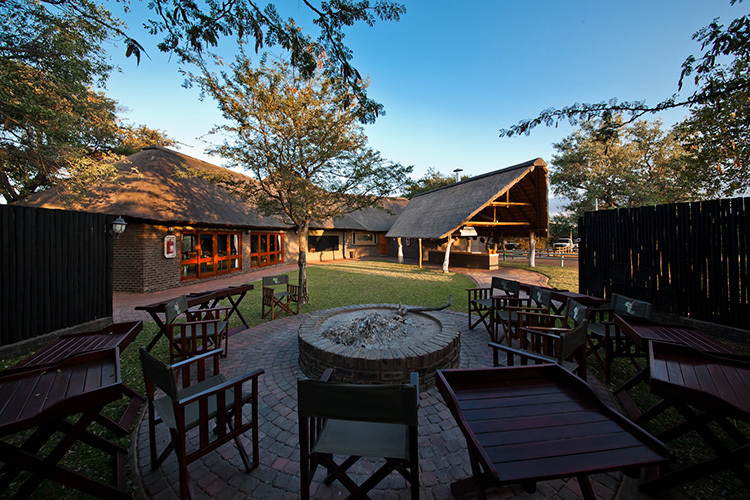 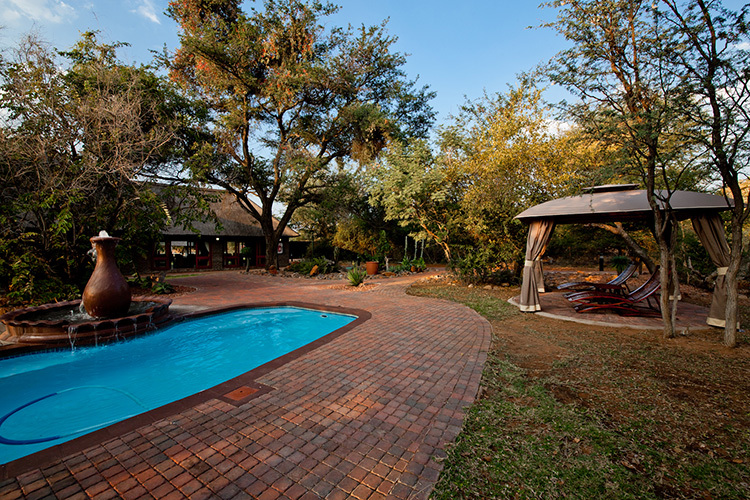 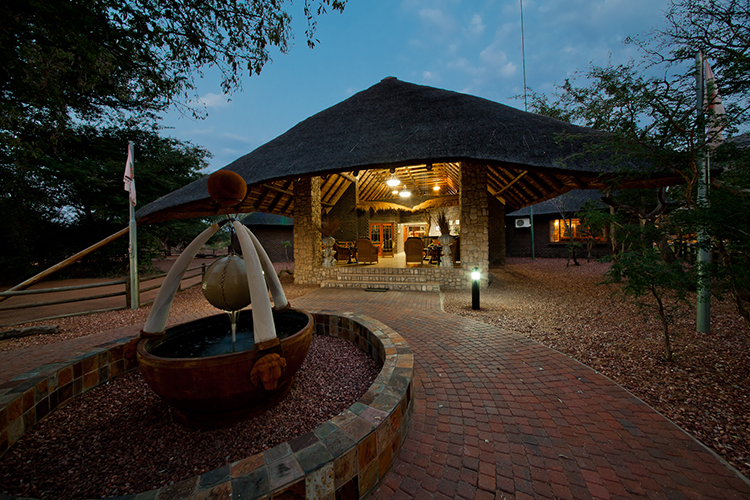 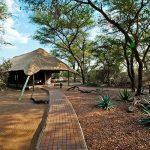 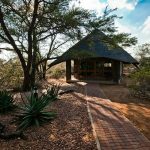 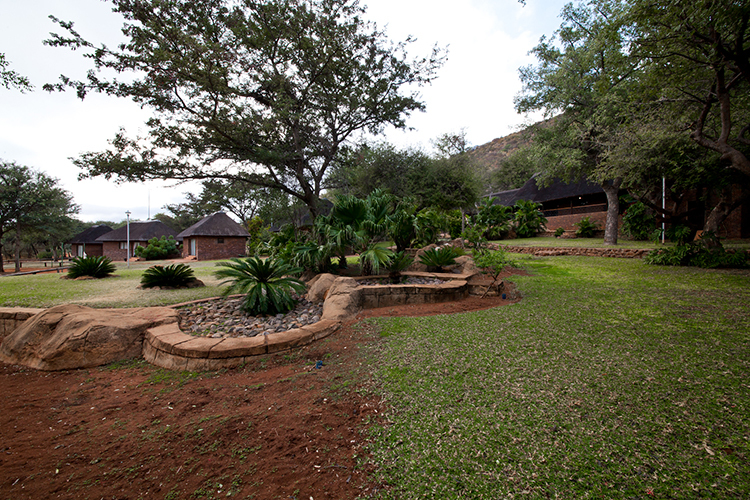 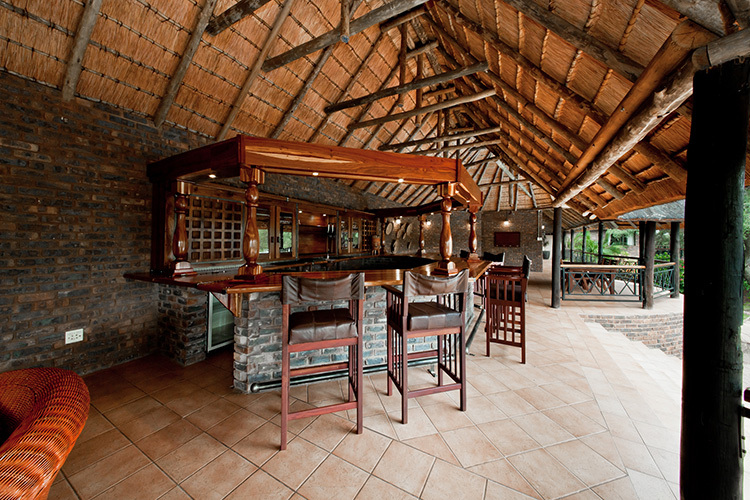 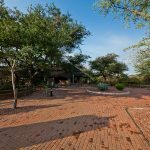 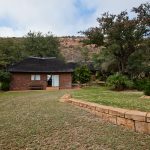 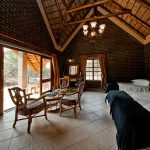 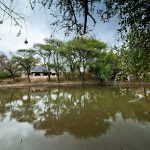 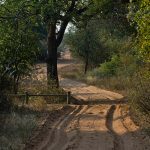 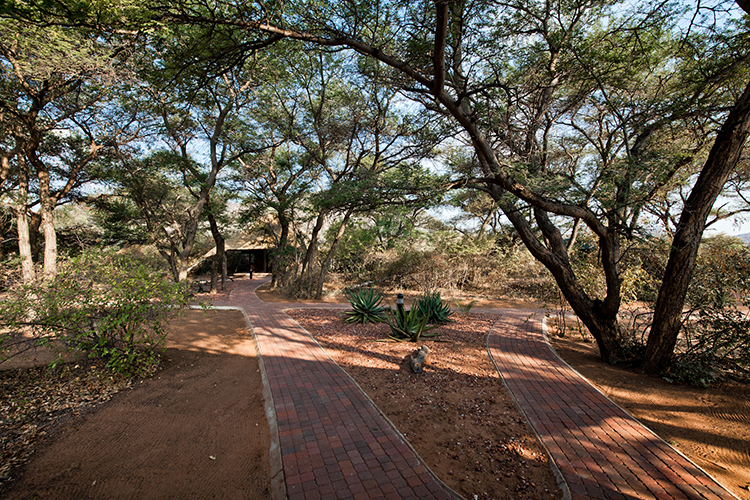 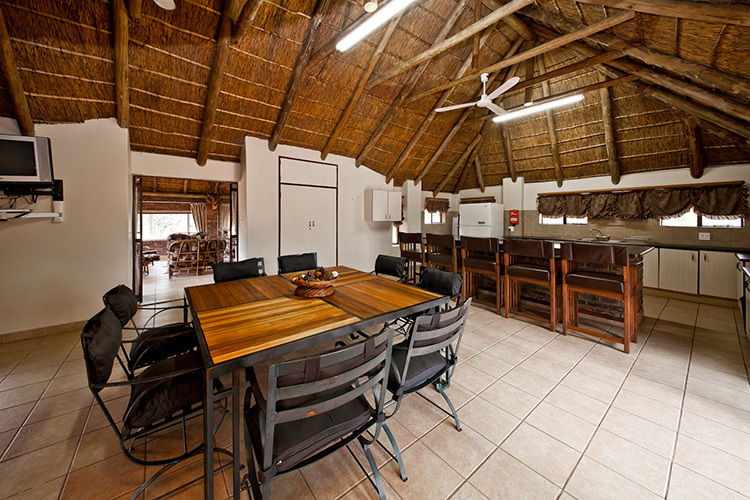 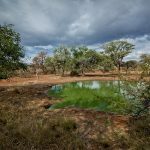 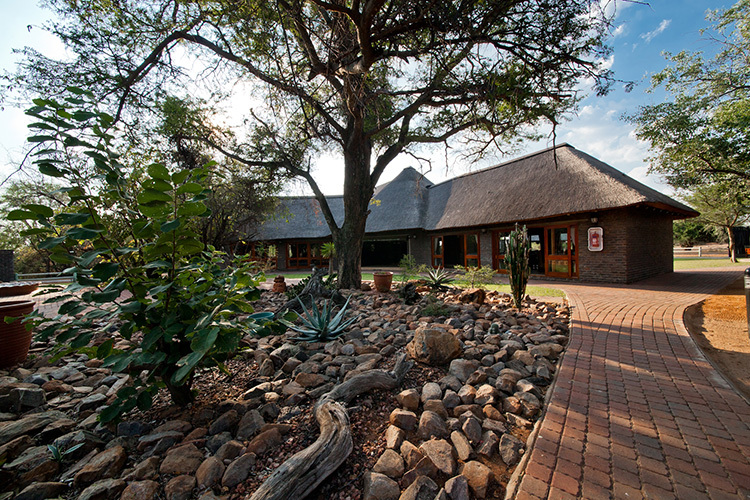 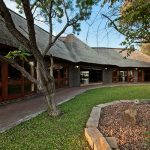 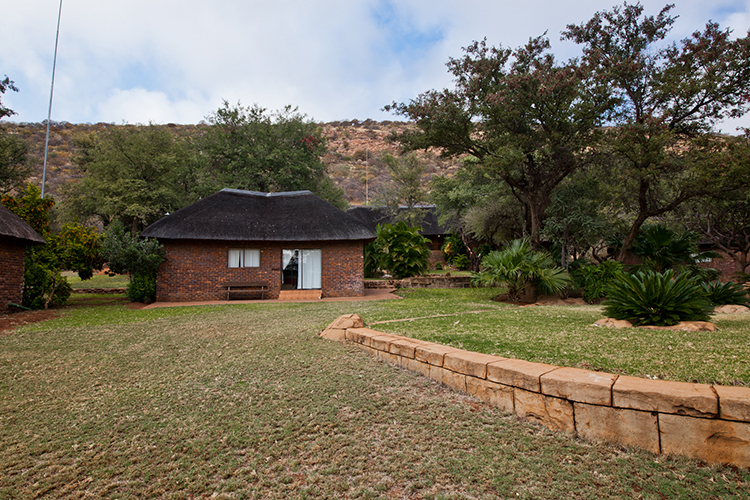 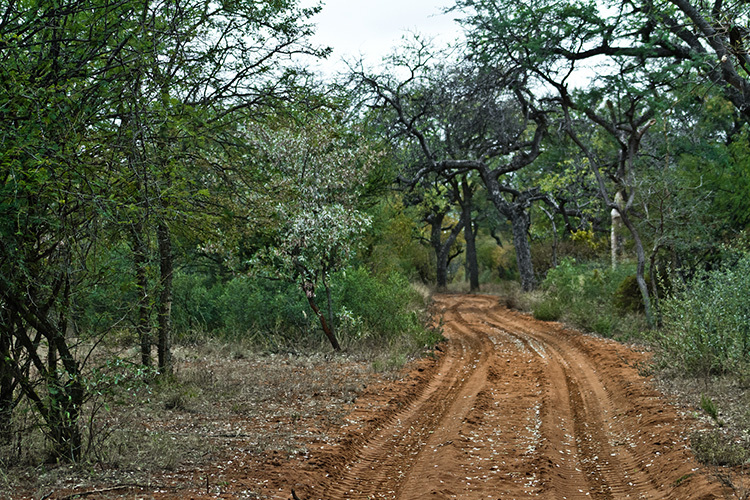 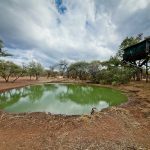 We have a mountain lodge and a bush camp; the photos tell the story of this fantastic hunting area. 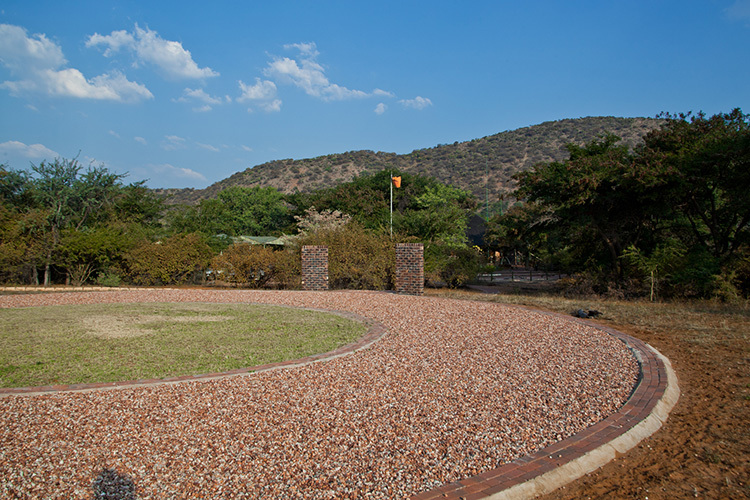 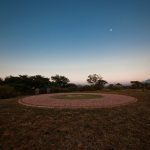 There is also a helipad and a private runway on the property. 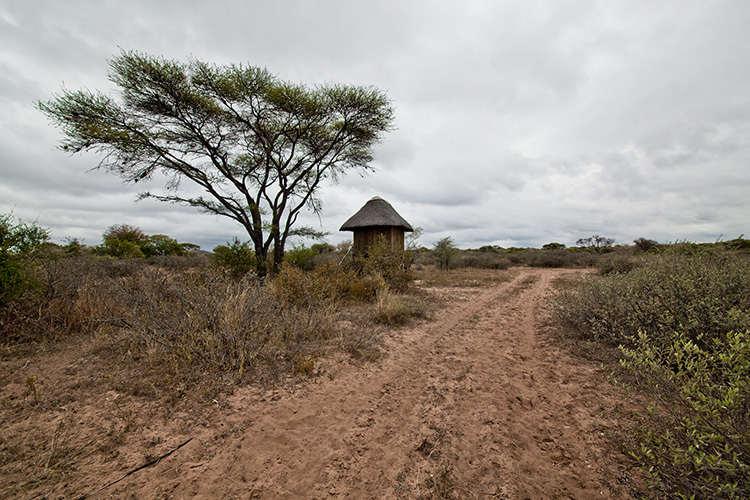 The runway is 1300 meters long and 30 meters wide. 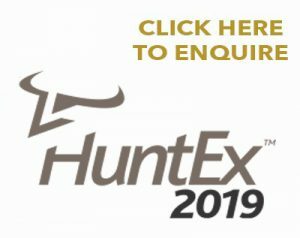 This is South African hunting at its absolute best on a property that offers you a fair chase hunt with no breeding camps, no ear tags, no colour variants and no canned/pseudo hunting. 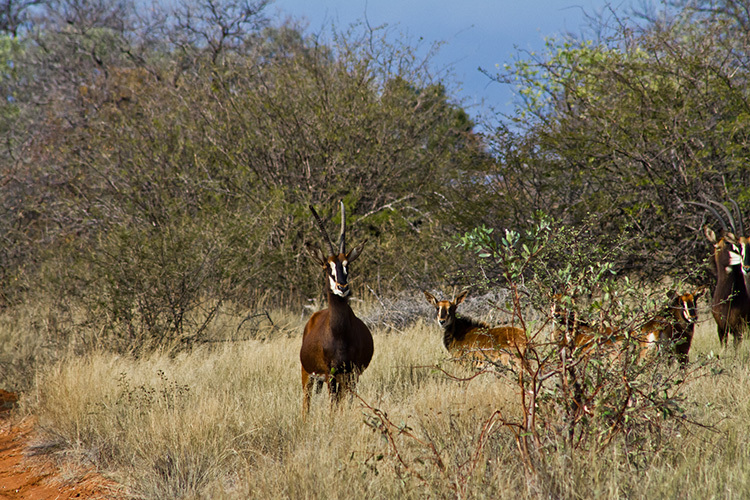 I would go as far as to say that hunting in South Africa does not get better than this. 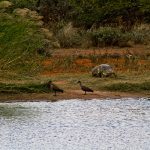 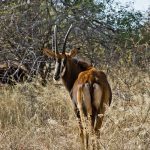 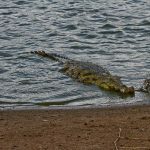 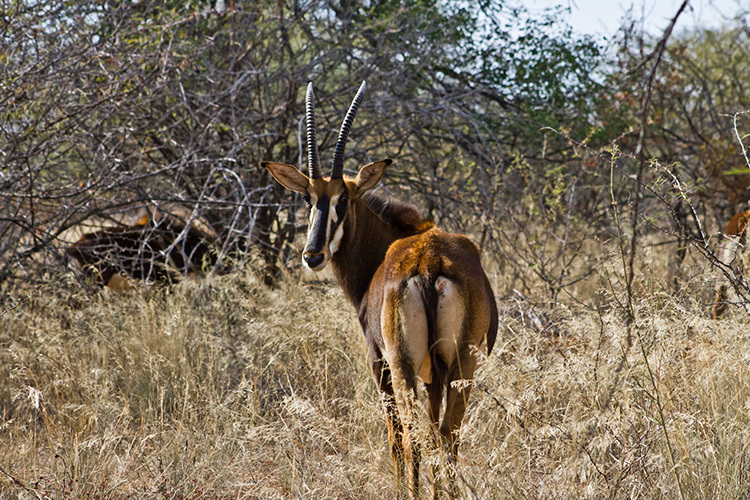 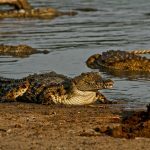 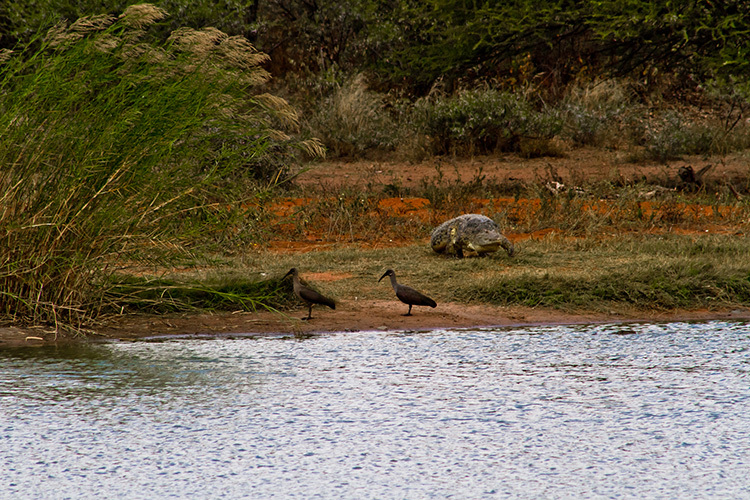 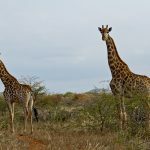 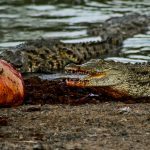 Common game species in abundance on the property include baboon, buffalo, blue wildebeest, bushbuck, bushpig, civet, crocodile, grey duiker, eland, genet, giraffe, grysbuck, hippo, hyena, impala, jackal, kudu, leopard, caracal, nyala, rhino, sable, steenbuck, warthog, waterbuck and zebra. 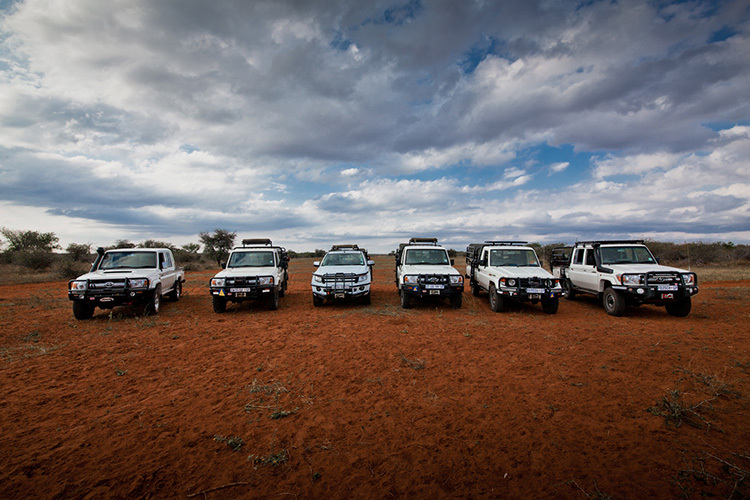 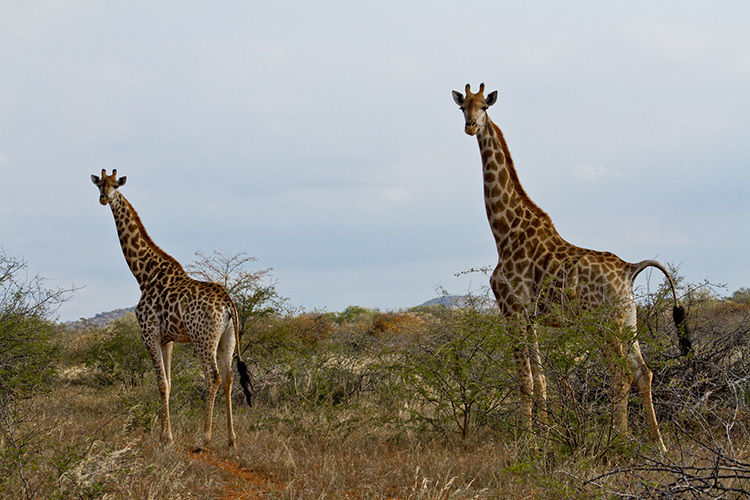 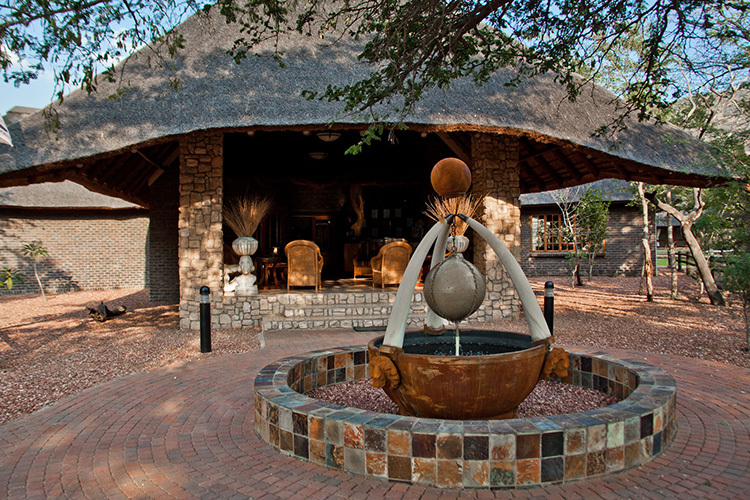 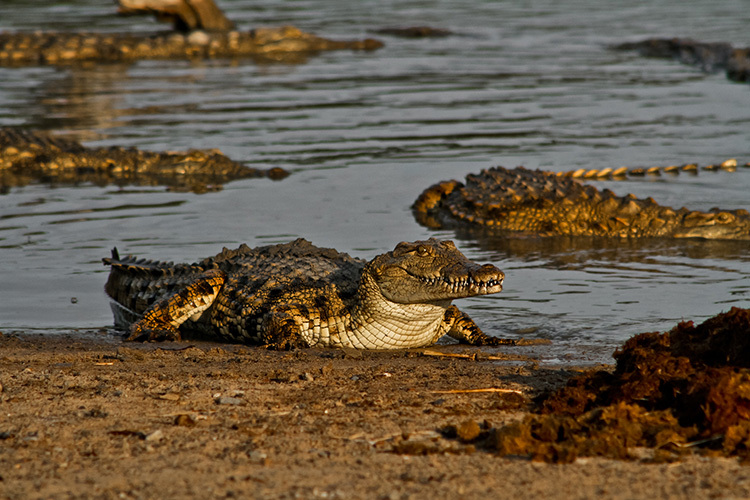 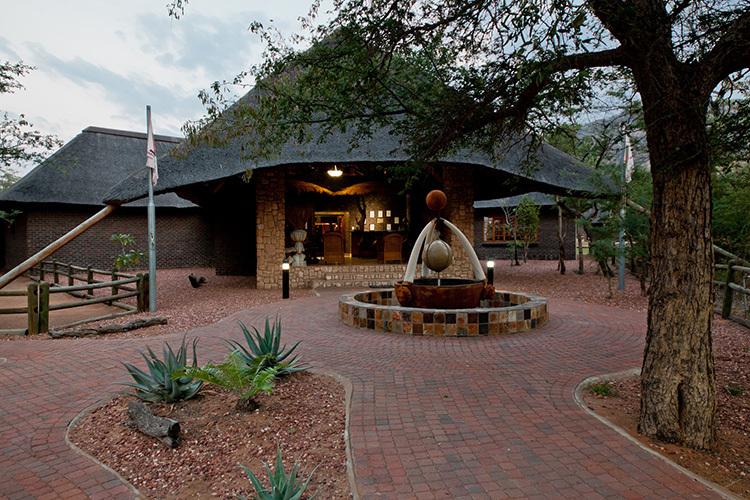 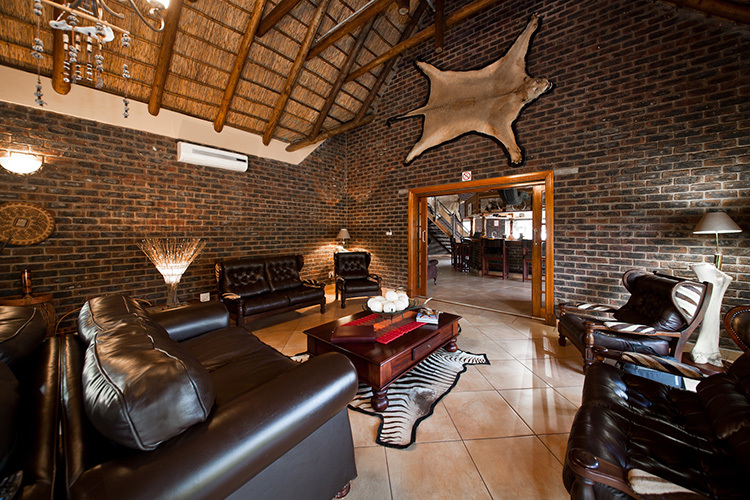 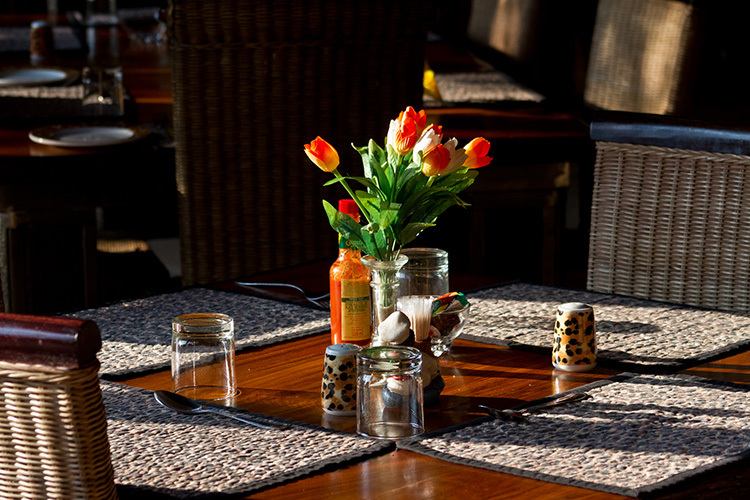 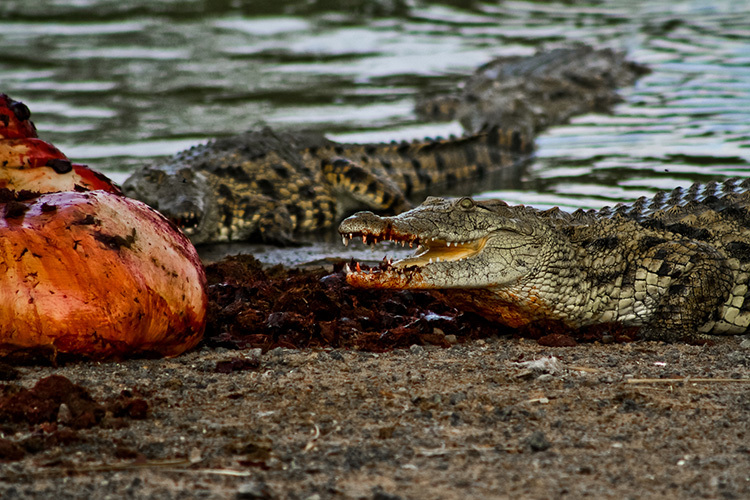 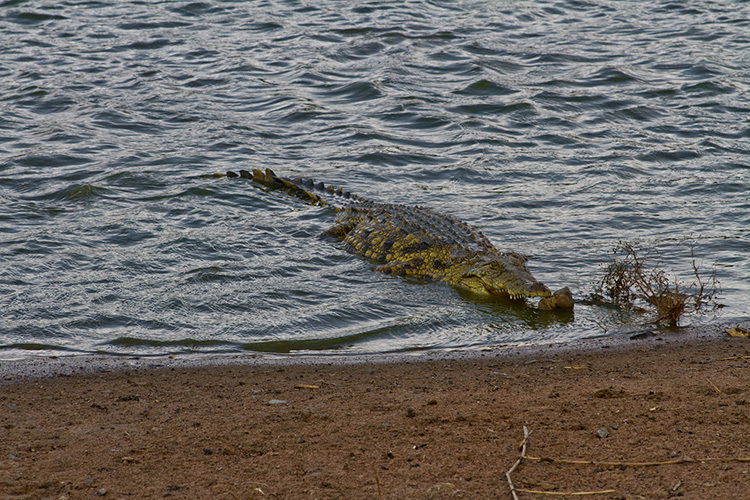 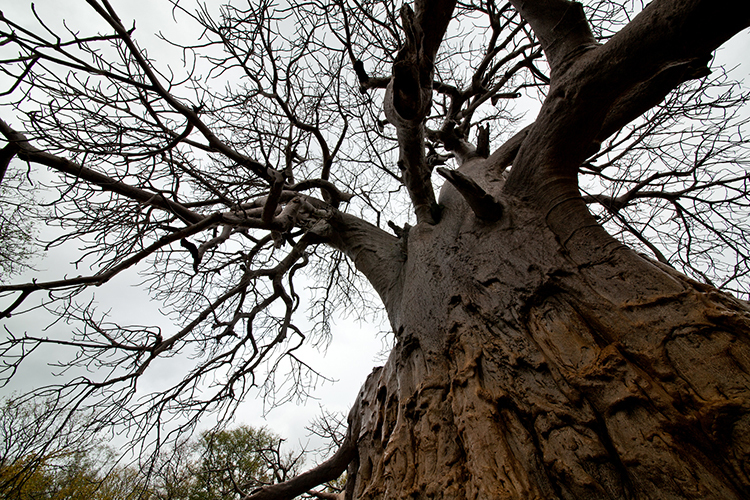 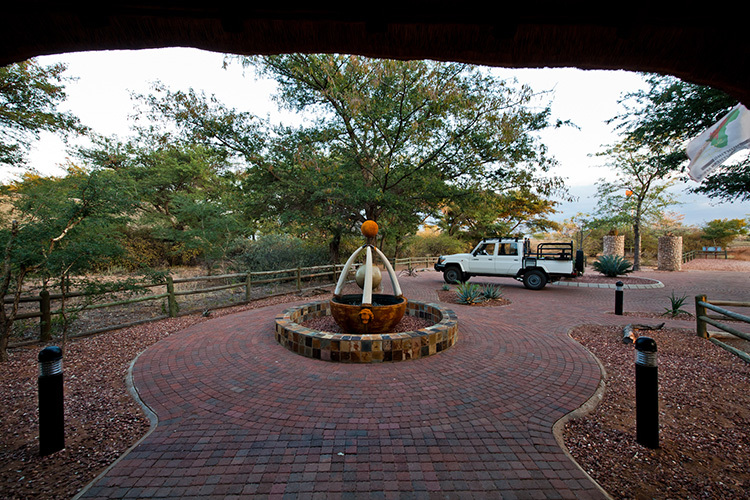 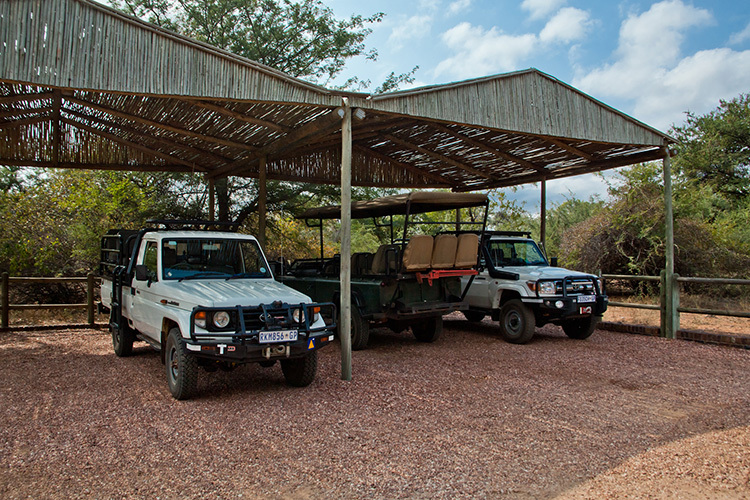 We welcome your enquiry and stand by to deliver the best of the best South African safari experience.